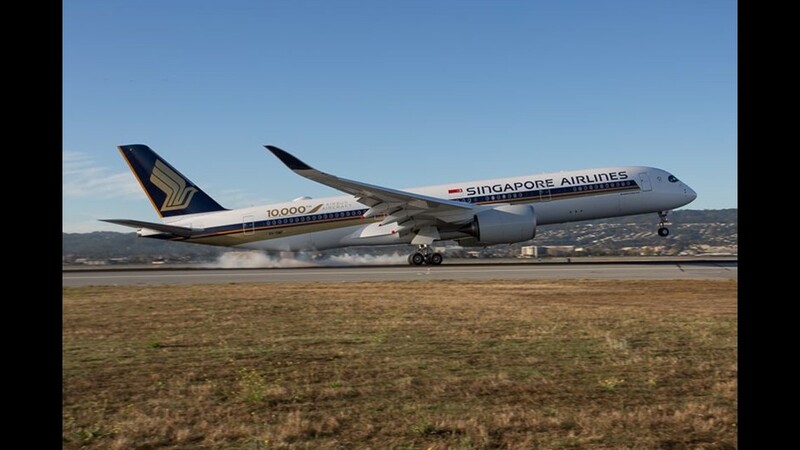 SINGAPORE – Singapore Airlines reclaimed its bragging rights as operator of the world's longest flight last week as it relaunched nonstop service between Singapore and Newark Liberty International Airport near New York City. Singapore Airlines previously held the crown with the same route until 2013, when it was canceled. 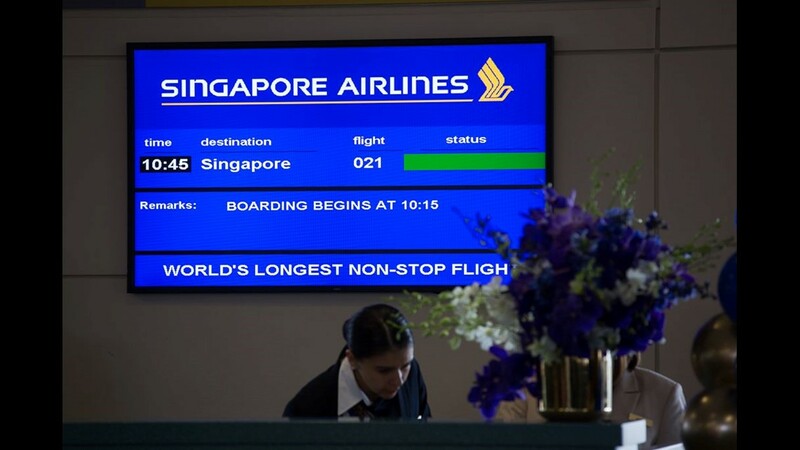 Now, with new Airbus A350s in its fleet, Singapore is back on the route. 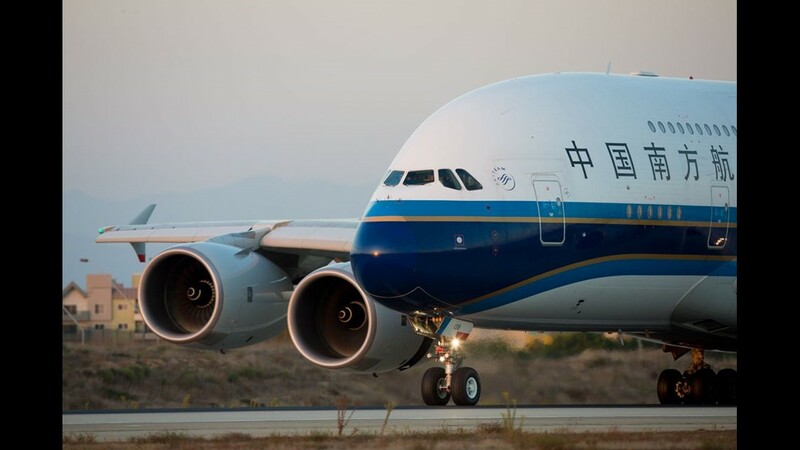 It launched the service Thursday with the first flight from Singapore. 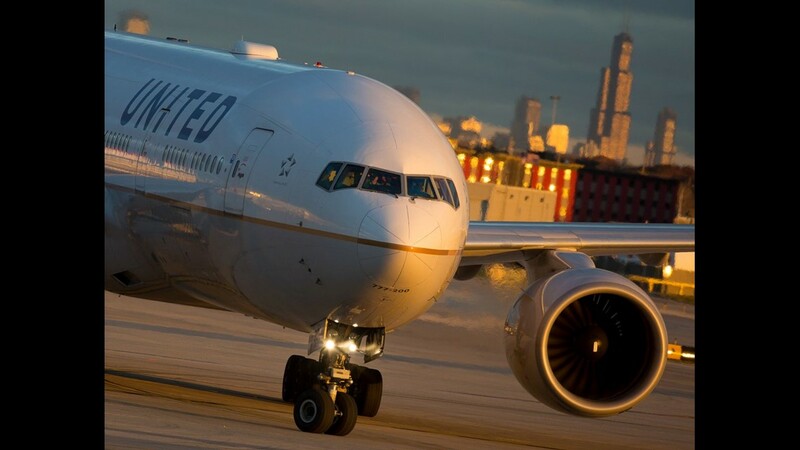 On Friday, the inaugural nonstop departure for Singapore left from Newark. 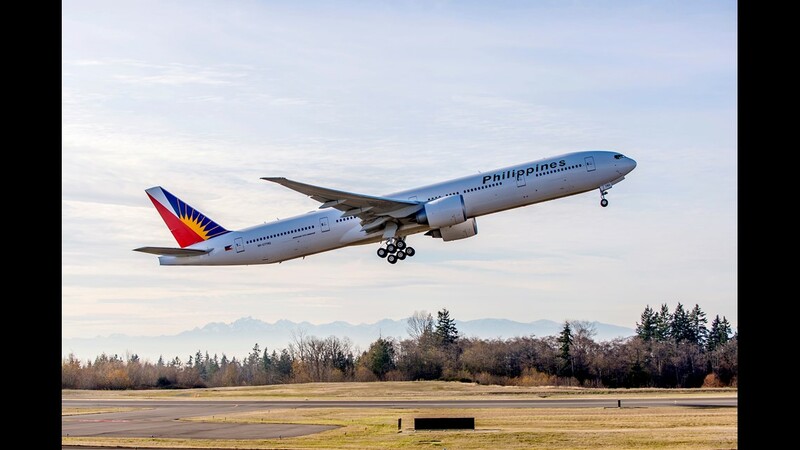 The aircraft and its 161 passengers completed the 9,535-mile route about an hour quicker than its 18-hour, 30-minute scheduled time. 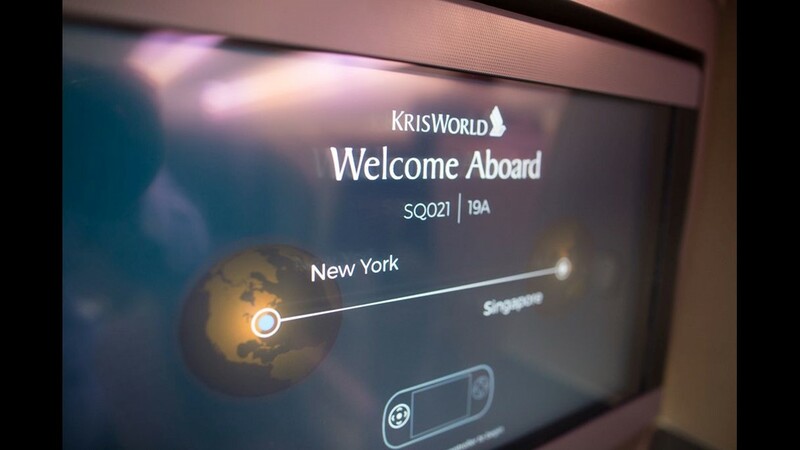 Now that it's back, the new Singapore-Newark flight shaves hours off most of the current connecting options for flights between Singapore and the New York City area. It's a welcome change for regulars of the route like Bill Rosenthal, a publishing executive from New York City. 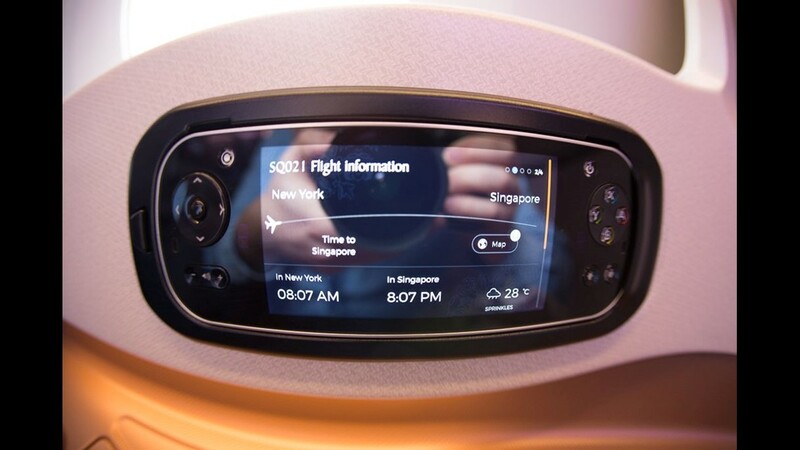 Rosenthal began flying the route back in 2006 during Singapore Airlines' previous run on the route that ended in 2013. Rosenthal says he's lost count of how many times he's done it, but he estimates he averages three to four visits per year. When Singapore discontinued the route, he went back to Singapore's longer, one-stop option that goes via Frankfurt, Germany. 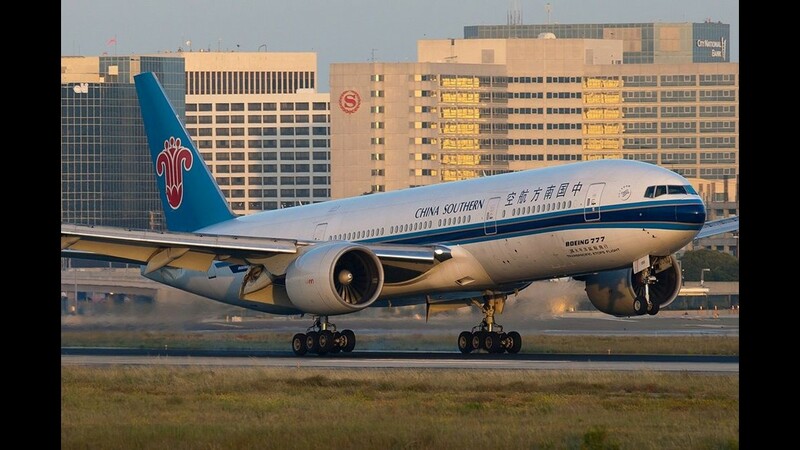 “It's so much easier to get on the plane in New York, sit for a really long time, and then walk off the plane in Singapore,” he said as the flight ticked into its 14th hour somewhere over Chengdu, China. 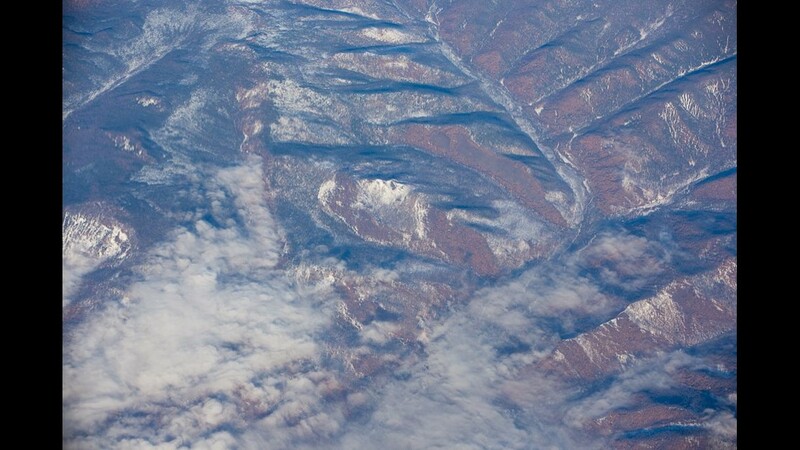 “I'll go right back to taking this flight on a regular basis,” he added. 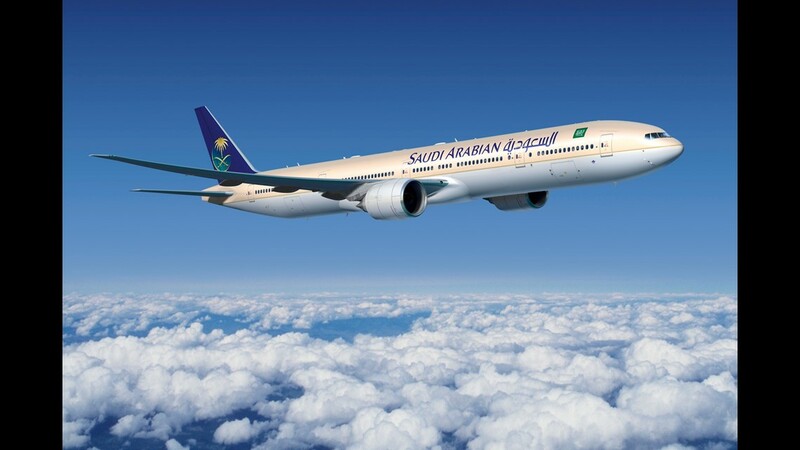 What's the world's longest regularly schedule airline flight? Singapore will take the title in October, but these are the world's 25 longest (by miles) in the schedules for June 2018. While the flight was comprised of mostly business travelers like Rosenthal and media, there was no shortage of "avgeek"-types on the plane, too. Their reason for taking the flight? Because they could. Nestled in the very last row of the airplane, Philip Lewis had an elaborate video setup. Lewis flew in from England just for the flight, taking another Singapore Airlines flight from Manchester, England, to Houston before flying to Newark. It was a huge roll of the dice, considering that Lewis wasn't 100% positive that his row would even have a window. “It made me a bit nervous,” he said. But luck came through for Lewis. 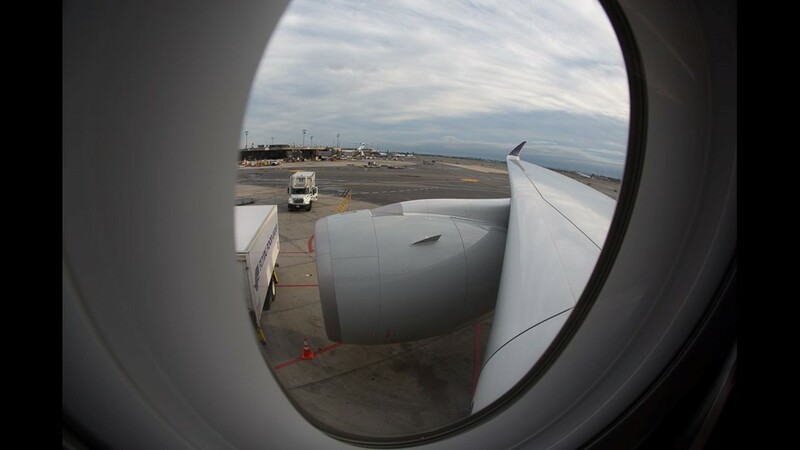 Not only did he get his window, his seat was one of a handful that stood alone by itself in the very rear of the premium economy cabin. It even came with its own storage area that, as it turned out, was perfectly situated for the tripod. 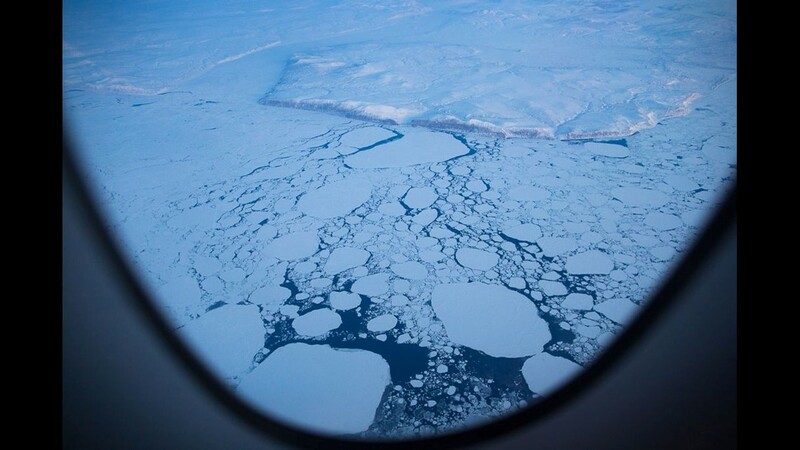 The camera had been dutifully rolling since the aircraft pushed back over 16 hours ago. “Hopefully it will be enough,” he said. 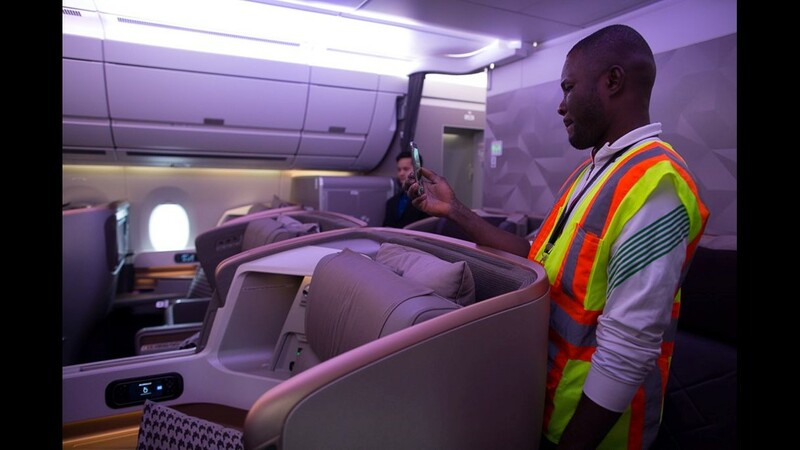 A flight attendant readies for service aboard Boeing's first 787-10 delivery to launch customer Singapore Airlines, on March 26, 2018 during its ferry flight to Singapore. 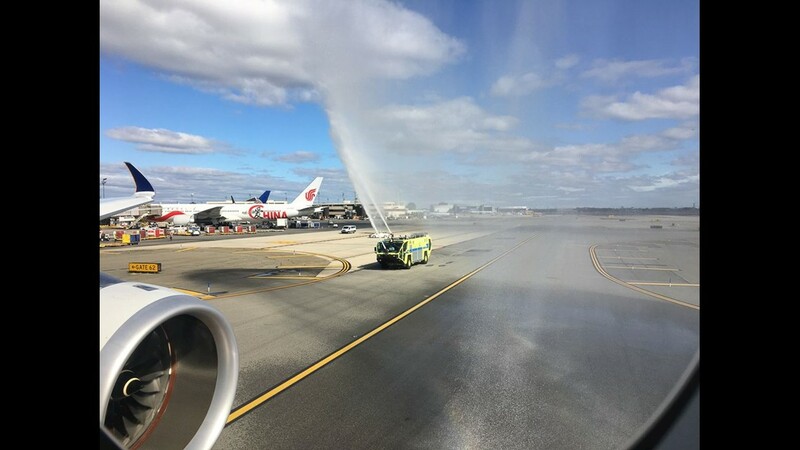 Singapore Airlines welcomes the world's first Boeing 787-10 aircraft with a water cannon salute upon its arrival to Singapore from Boeing's production facility in North Charleston, S.C., on March 28, 2018. Capt. Ian Cheng talks with fellow pilots ahead of flying the second leg of a ferry flight for the airline's first Boeing 787-10 jetliner on March 28, 2018. Crew of Singapore Airlines' Boeing 787-10 delivery flight pose for a picture amid a staff change during a technical stop in Osaka, Japan, on March 28, 2018. Felicia, a flight attendant with Singapore Airlines, takes a break to soak in the northern lights on a Boeing 787-10 delivery flight over Canada on March 27, 2018. 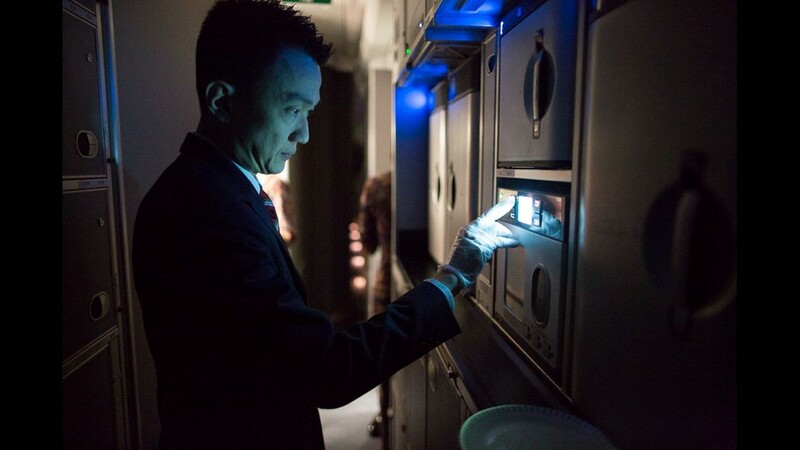 A flight attendant prepares meals for passengers aboard Boeing's first 787-10 delivery to launch customer Singapore Airlines, on March 26, 2018 during its ferry flight to Singapore. Amanda Woods (center, in red), from Sydney, Australia, and Amanda Keenan from Perth, Australia, check in for the delivery flight Boeing's first Boeing 787-10 jetliner at the company's S.C., delivery center on March 26, 2018. Capt. Alan Chan walks down the jetbridge, ready to fly Boeing's first 787-10 jetliner delivery, for Singapore Airlines, in Charleston, S.C., on March 26, 2018. 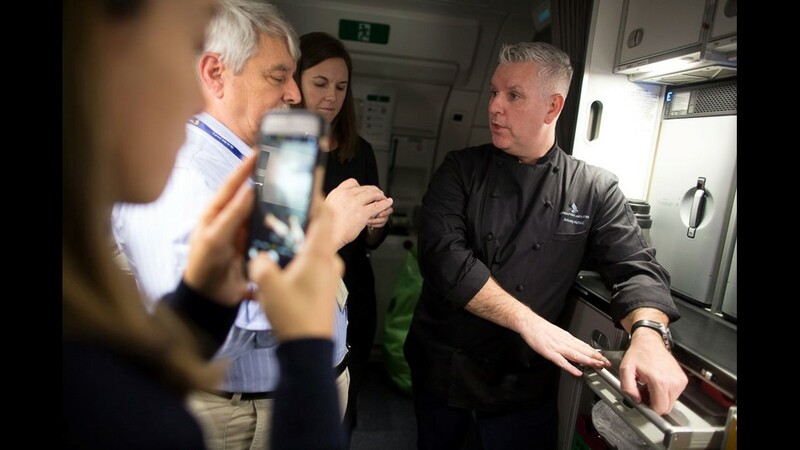 Flight attendants prepare meals for passengers aboard Boeing's first 787-10 delivery to launch customer Singapore Airlines, on March 26, 2018 during its ferry flight to Singapore. Capts. Alan Chan (left) and Bosco Xavier, both with Singapore Airlines, prep their company's first Boeing 787-10 jetliner for its delivery flight from Boeing's South Carolina assembly plant on March 26, 2018. Singapore Airlines (SIA) world's first Boeing 787-10 aircraft taxis to the terminal after its arrival to Singapore from Boeing's production facility in North Charleston, S.C., on March 28, 2018. Executives with Singapore Airlines and Boeing do a little mid-flight yoga while aboard Singapore Airlines' Boeing 787-10 delivery flight on March 28, 2018. Singapore Airlines CEO Goh Choon Phong is seen second from the right. 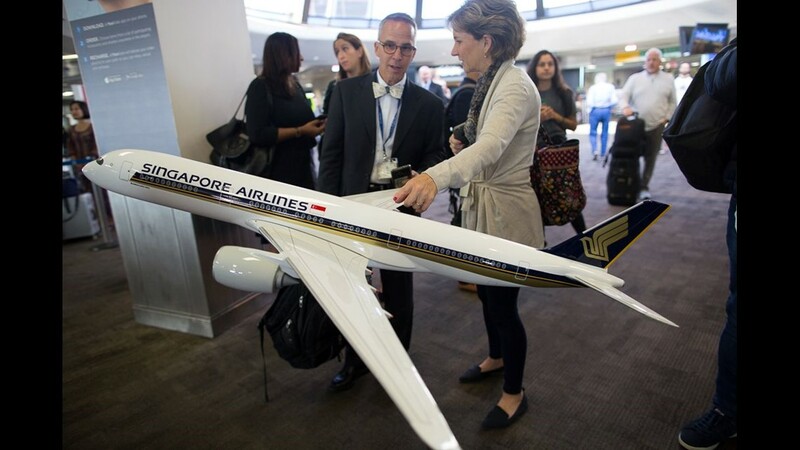 Singapore Airlines CEO Goh Choon Phong boards the delivery flight of the first Boeing 787-10 to his airline in Charleston, S.C., on March 28, 2018. Boeing's first 787-10 is readied at its Charleston, S.C., a facility prior to its delivery flight on March 26, 2018. 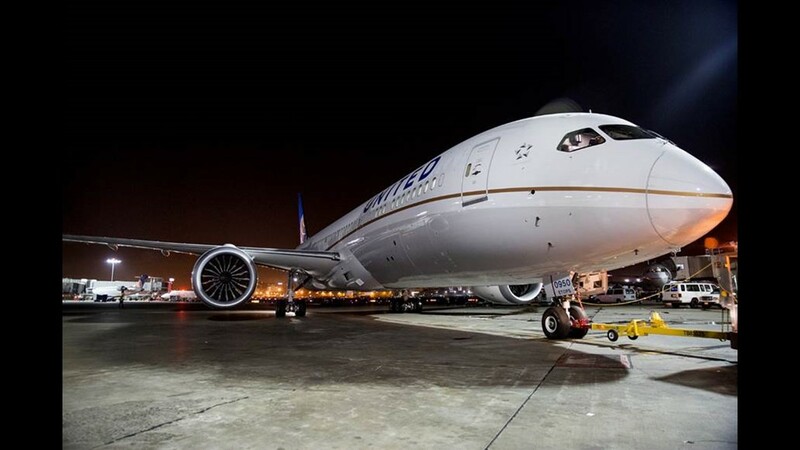 Boeing's first 787-10 is readied at its Charleston, S.C., facility prior to its delivery flight on March 26, 2018. Flight attendants prepare for the second leg of Boeing's first 787-10 delivery to launch customer Singapore Airlines, on March 28, 2018 during its ferry flight to Singapore. Singapore Airlines CEO Goh Choon Phong checks in for the delivery flight of his airline's first Boeing 787-10 jetliner at Boeing's S.C., delivery center on March 26, 2018. Capt. Ian Cheng fills out paperwork during a layover in Osaka, Japan while piloting the first Boeing 787-10 ferry flight on March 28, 2018. 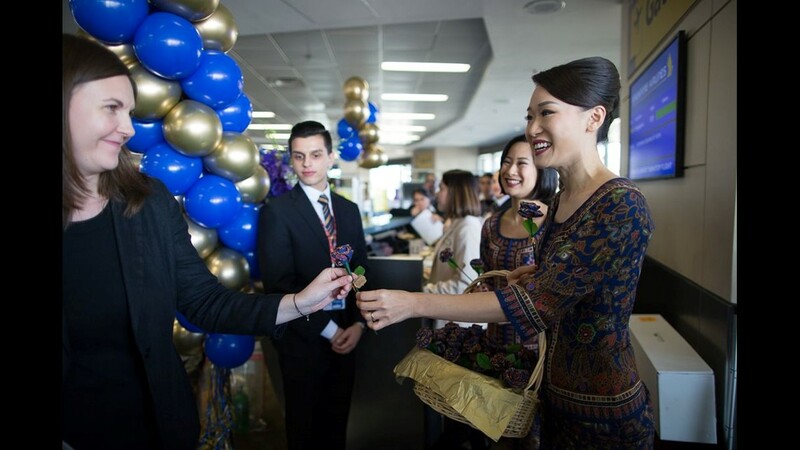 Flight attendants make small paper cranes for passengers aboard Singapore Airlines' first Boeing 787-10 while on its delivery flight to Singapore on March 28, 2018. Singapore Airlines CEO Goh Choon Phong boards the delivery flight of the first Boeing 787-10 to his airline in S.C., on March 28, 2018. 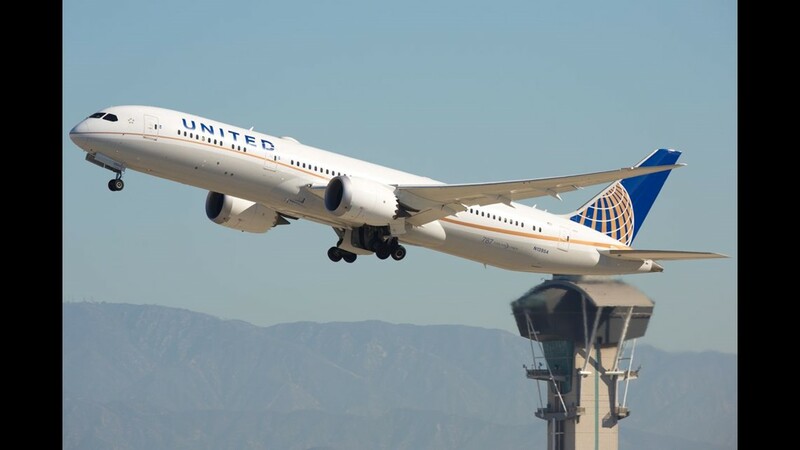 The first Boeing 787-10 takes off from Charleston International Airport in South Carolina on its delivery flight to Singapore Airlines on March 26, 2018. Media take pictures of Singapore Airlines (SIA) first Boeing 787-10 aircraft with a water cannon salute upon its arrival to Singapore from Boeing's production facility in North Charleston, S.C., on March 28, 2018. 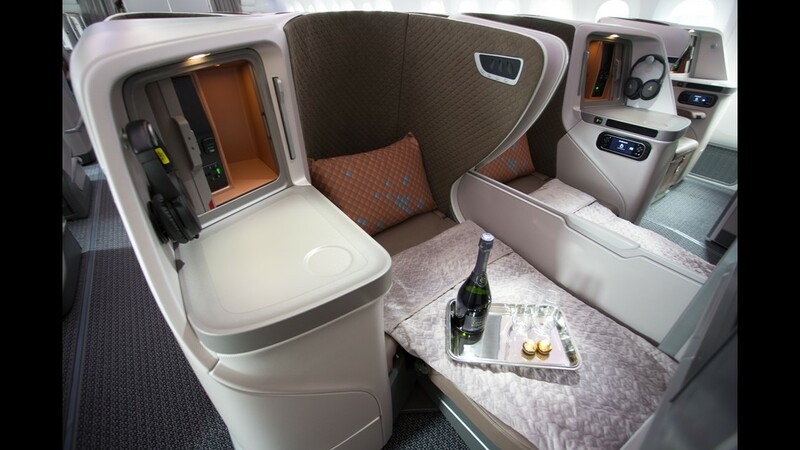 A small Singapore Airlines-branded teddy bear awaits a human to snuggle up with in the economy cabin of the airline's first Boeing 787-10 delivery. 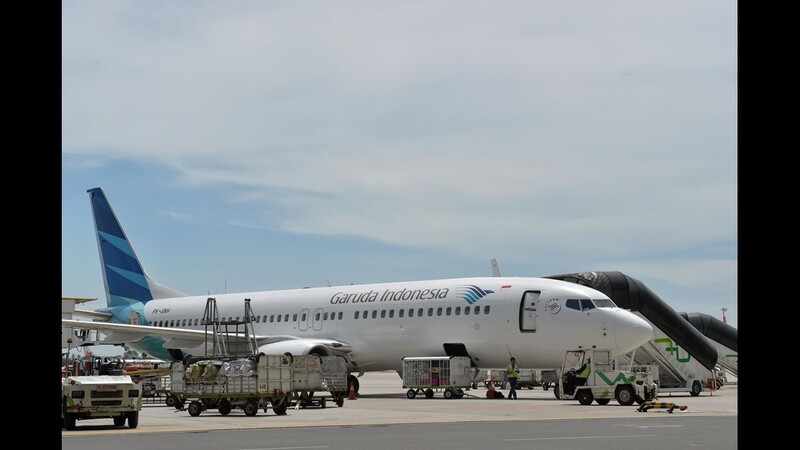 The airline flew the jet from Boeing's South Carolina assembly plant to Singapore on March 26, 2018. 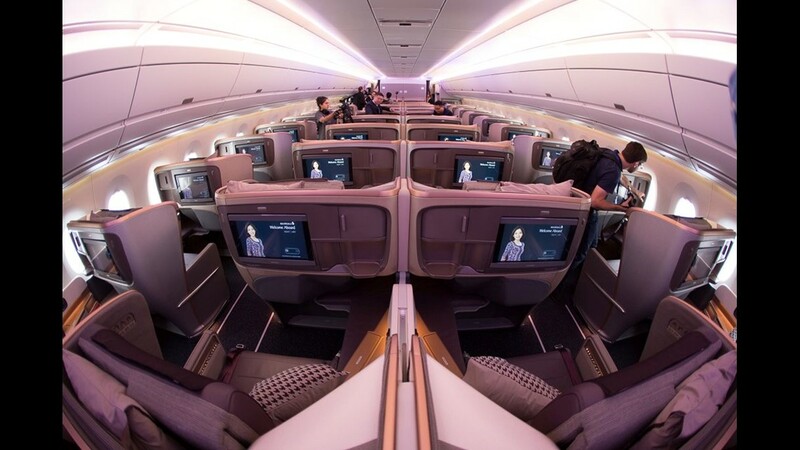 Passengers in the economy cabin chat during some down time aboard Boeing's first 787-10 delivery to launch customer Singapore Airlines, on March 26, 2018 during its ferry flight to Singapore. 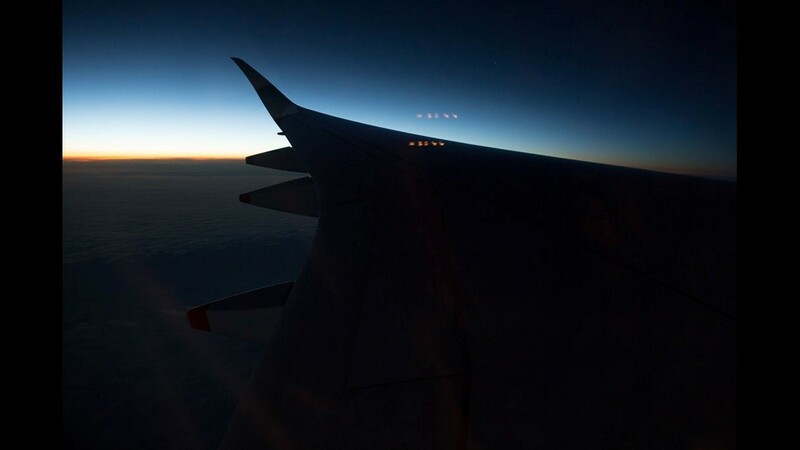 The northern lights appear on the horizon, visible clearly from a Singapore Airlines Boeing 787-10 on its ferry flight from the Boeing factory to Singapore on March 27, 2018. Singapore Airlines (SIA) world's first Boeing 787-10 aircraft parked at the terminal in Singapore Changi Airport after its arrival from Boeing's production facility in North Charleston, S.C., on March 28, 2018. 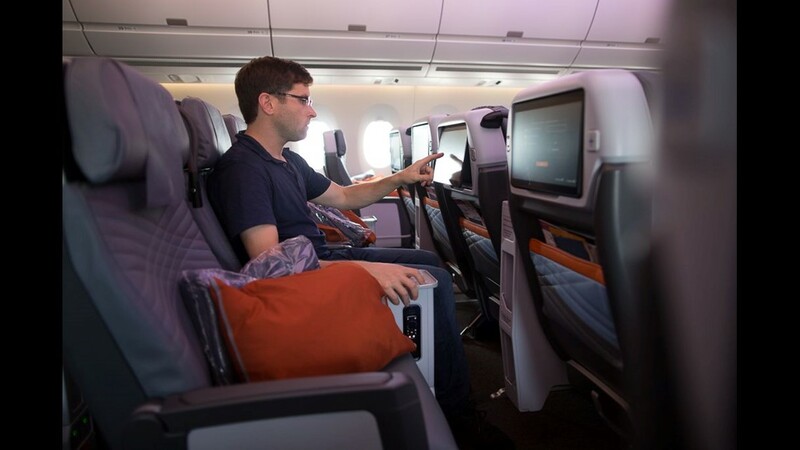 A passenger in economy enjoys dinner aboard Boeing's first 787-10 delivery to launch customer Singapore Airlines, on March 26, 2018 during its ferry flight to Singapore. 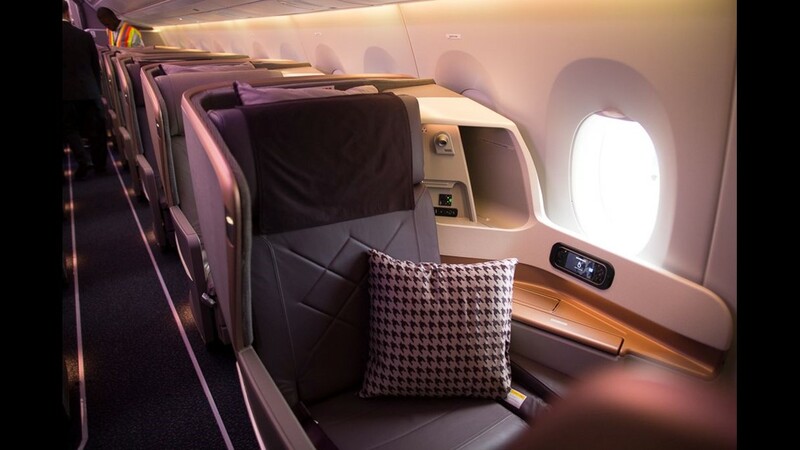 With only some 60 passengers aboard, even those in economy had room to spread out aboard Boeing's first 787-10 delivery to launch customer Singapore Airlines, on March 26, 2018 during its ferry flight to Singapore. Workers restock Boeing's first 787-10 delivery to launch customer Singapore Airlines during a stopover in Osaka, Japan, while en route to Singapore on March 28, 2018. 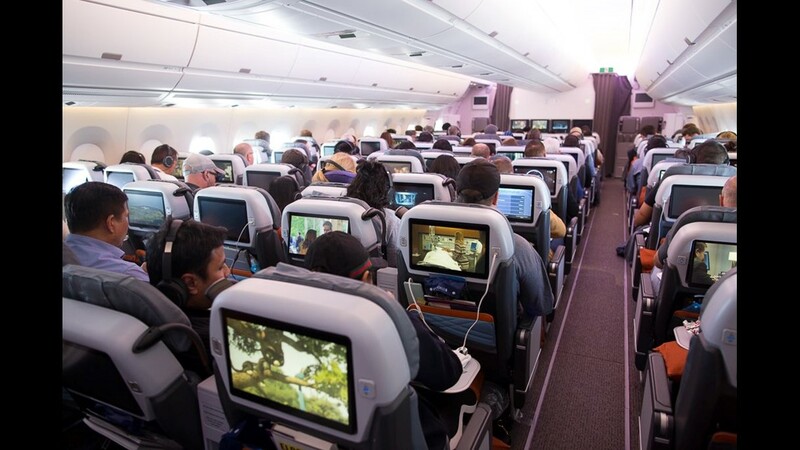 A TV crew with ABC News records a segment onboard a Singapore Airlines Boeing 787-10 ferry flight from Boeing's Charleston, South Carolina factory to Singapore on March 28, 2018. Passengers aboard a Singapore Airlines Boeing 787-10 ferry flight talk while flying between Japan and Singapore on March 28, 2018. A starter plate of fresh fruit awaits a business class passenger aboard Singapore Airlines' first Boeing 787-10 while on its delivery flight to Singapore on March 28, 2018. 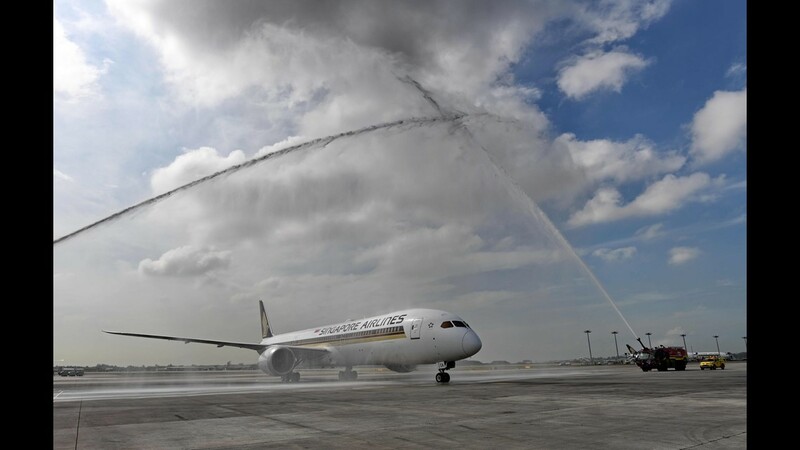 The waters of the South China Sea stretch for miles around as Singapore Airlines' first Boeing 787-10 jetliner, fresh from the factory, starts its initial descent into Singapore Changi Airport on March 28. 2018. Singapore Airlines (SIA) welcomes the world's first Boeing 787-10 aircraft (in the air) as it approaches Singapore's Changi Airport after its flight from Boeing's production facility in North Charleston, S.C.
Singapore Airlines (SIA) world's first Boeing 787-10 aircraft taxis to the terminal in Singapore after its arrival from Boeing's production facility in North Charleston, S.C., on March 28, 2018. 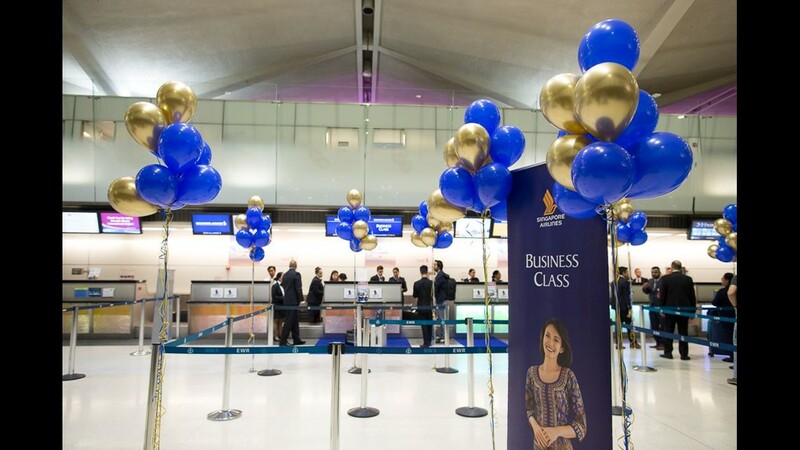 Of course, time isn't the only superlative on Friday's flight, the return flight of Singapore Airlines' relaunch of its record-setting Singapore-Newark route. 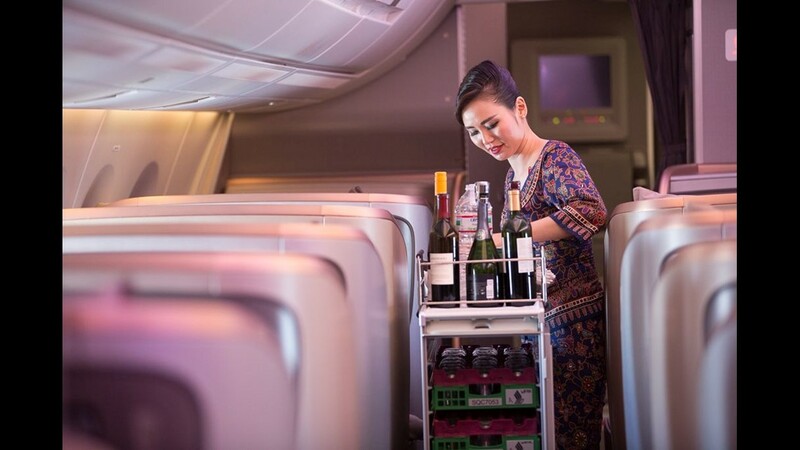 On board are 35 bottles of champagne and 60 bottles of wine – 30 red and 30 white, according to Singapore Airlines Food and Beverage Director Anthony McNeil, who's also a chef. 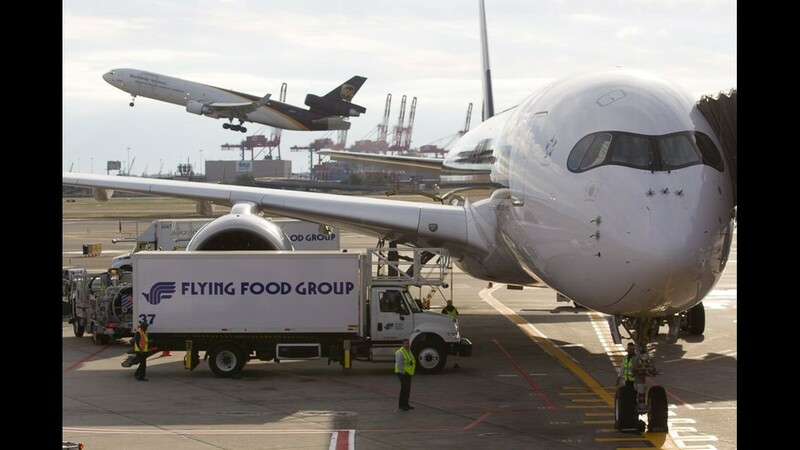 In total, over two tons of catering and catering equipment was loaded onto the airplane, said McNeil. While much of that weight is glassware and china, the rest is from all the food and beverage necessary to support a massive onboard menu. 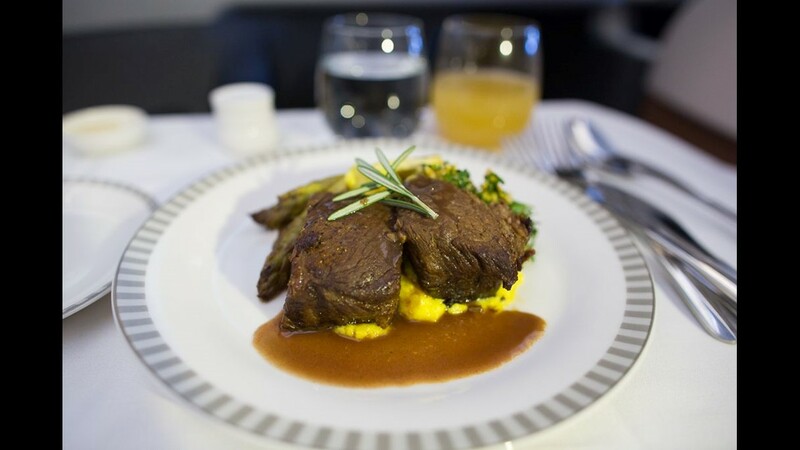 Business-class menus offered choices between sous-vide cooked beef fillets with mushroom cream sauce, baked cheese-herb crusted halibut and an oriental chicken noodle soup, among others. Appetizers, two dessert choices, a fruit and cheese cart, and coffee and tea service rounded out the dining options. Premium economy offered choices between pan-fried fish in a Thai curry sauce, braised beef with roasted garlic and herb roasted chicken breast. 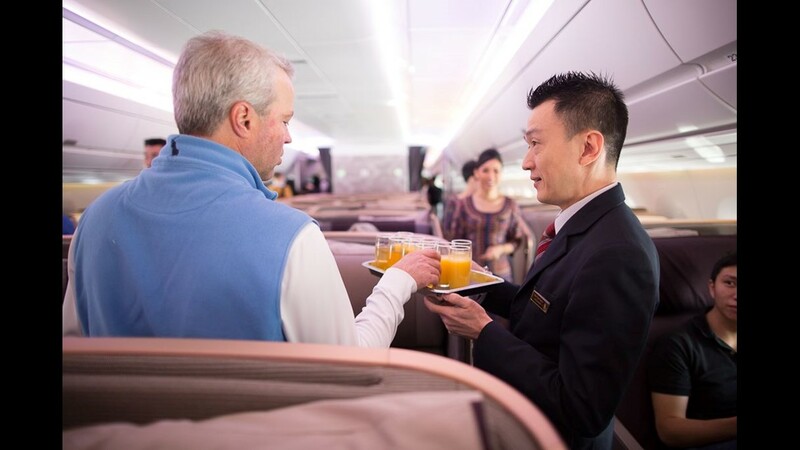 And, just as in business class, flyers could choose among appetizers, desserts, bread, and coffee and tea service. And in both cases, that's just what's available for lunch. Dinner, served around the 12-hour mark, was equally as extensive. 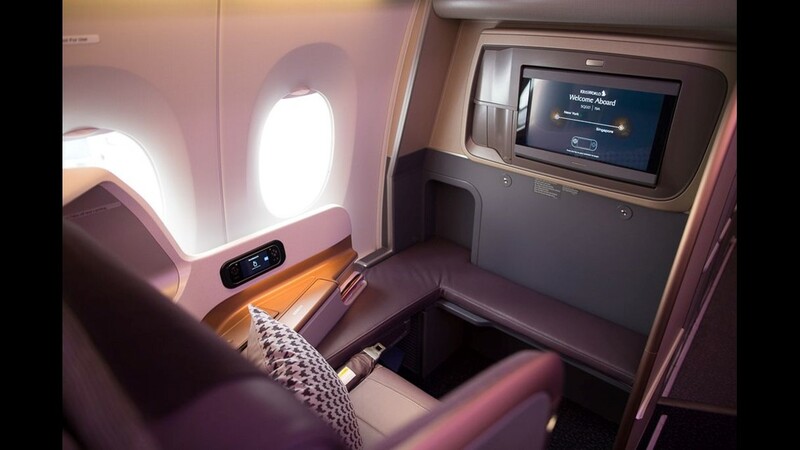 Singapore Airlines' first Boeing 787-10, as seen from the business class cabin, during a media tour prior to delivery in Charleston, S.C., on March 26, 2018. A Singapore Airlines flight attendant poses for a photo aboard the airline's first Boeing 787-10 jet during a media tour in Charleston, S.C., on March 26, 2018. 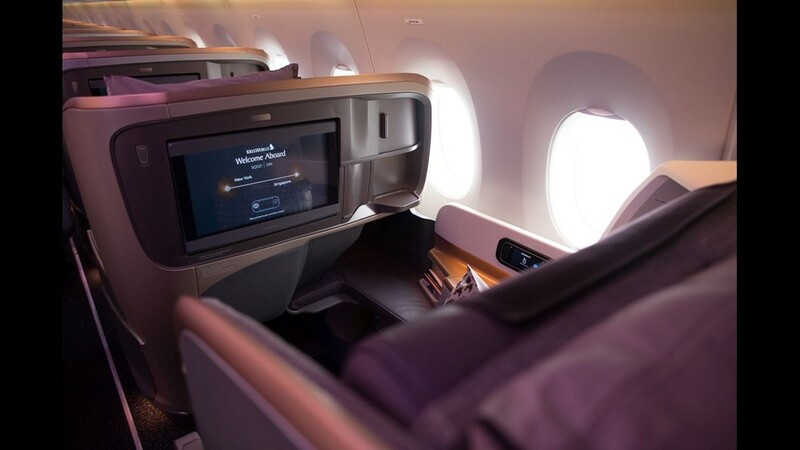 Singapore Airlines' first Boeing 787-10, as seen from the economy cabin, during a media tour prior to delivery in Charleston, S.C., on March 26, 2018. 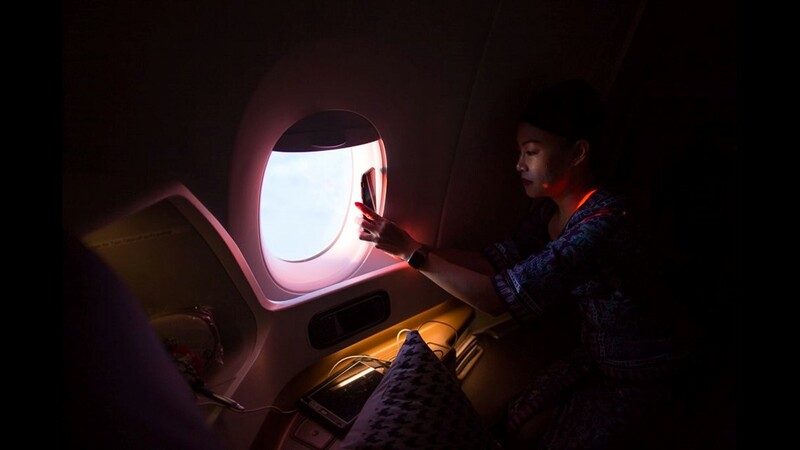 Felicia, a cabin crew member on board Singapore Airlines' the delivery flight of the first Boeing 787 -10, takes a few minutes to watch as the northern lights dance through the sky. 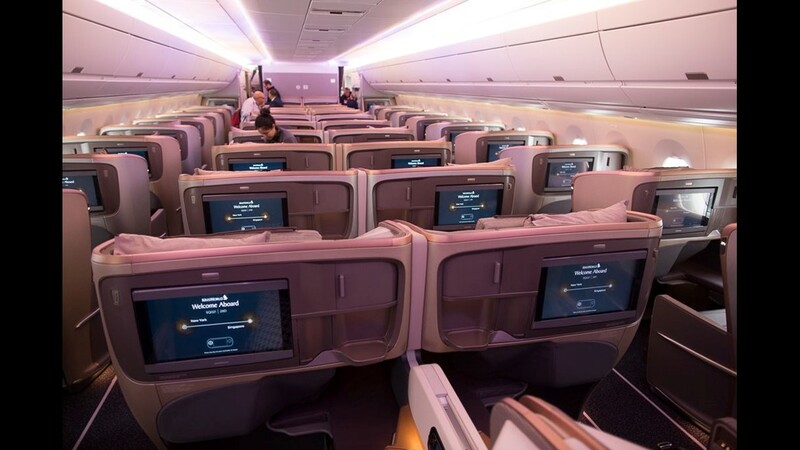 Singapore Airlines' first Boeing 787-10, as aboard the flightdeck, during a media tour prior to delivery in Charleston, S.C., on March 26, 2018. 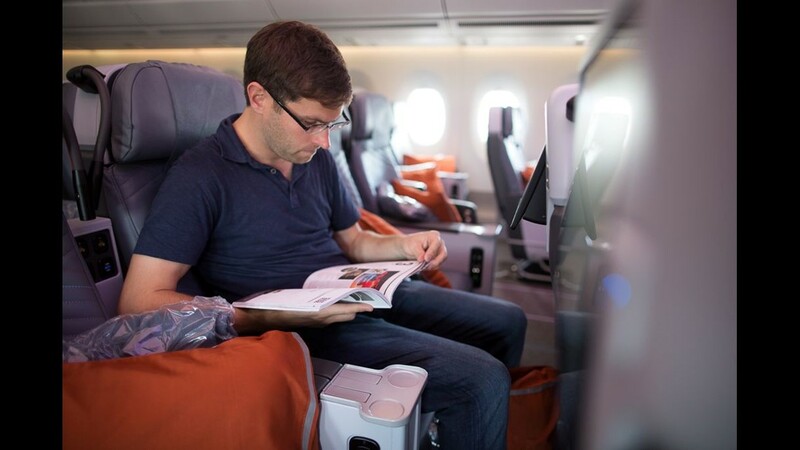 USA Today reporter Ben Mutzabaugh snaps photos of the economy cabin on Singapore Airlines' new business class product aboard the first Boeing 787-10 jet during a media tour in Charleston, S.C., on March 26, 2018. Flight attendants on board Singapore Airlines' first Boeing 787-10 talk during a media tour of the jet in Charleston, S.C., on March 26, 2018. The sun casts a glow on Singapore Airlines' first Boeing 787-10 Dreamliner as it makes it's 23-hour journey from Charleston, S.C., to Singapore. 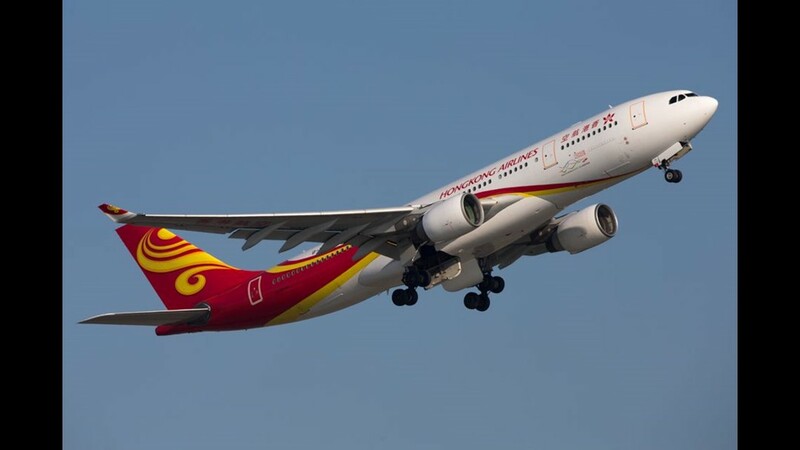 The flight departed on March 26, 2018, and arrived in Singapore on March 28 (local time), 2018. 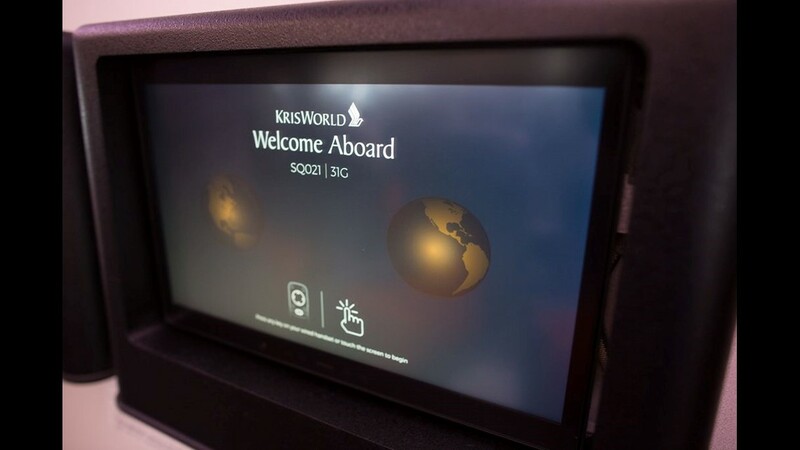 The light glow of a seat-back television welcomes passengers on board Singapore Airlines' first Boeing 787-10 during a delivery flight between Charleston, S.C., and Singapore on March 26, 2018. And then, of course, there's snacking. According to McNeil, this meant offering more than just potato chips and chocolate bars. Instead, he says the carrier opted for more substantive and healthy items like noodle bowls, soups and sandwiches. 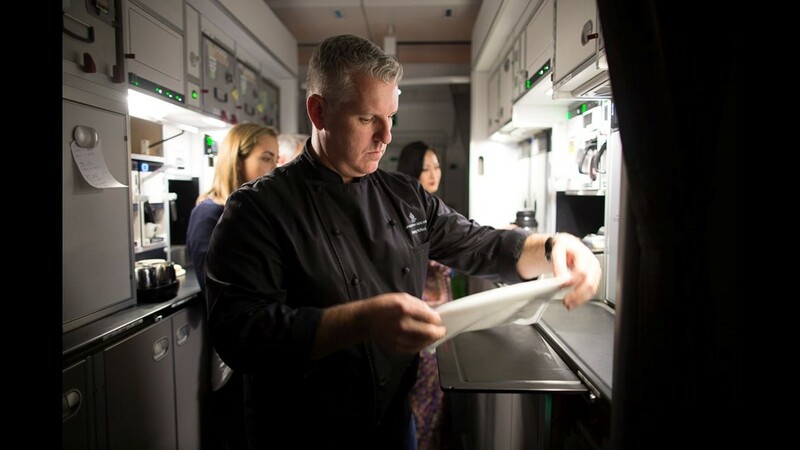 “Often times, the snacks fulfill a gap in the schedule, so when you look at the clock and there's still 10 hours to go and you want something different to do rather than watch a movie, dining provides you a little bit of a release from the flight as well,” he said. 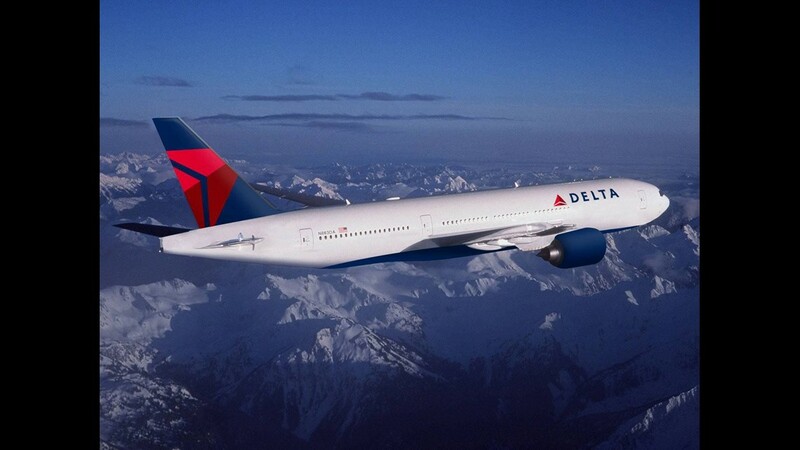 In total, McNeil said there were 480 different meal combinations offered on the flight. 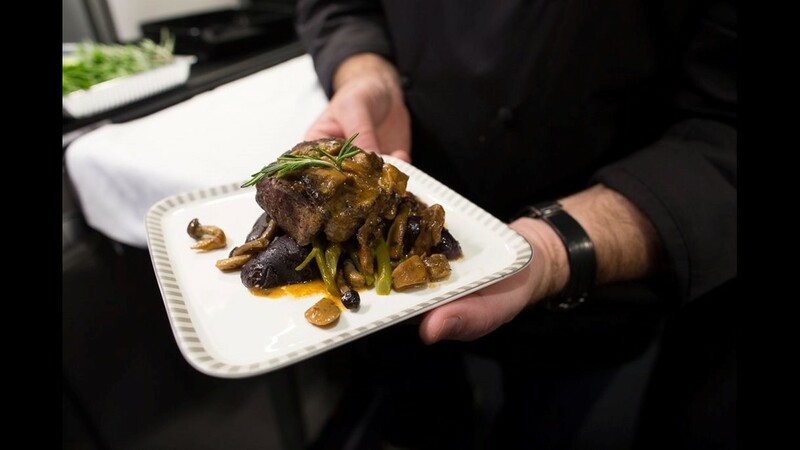 “We have people that want to eat really simply, and we've got people that want to eat big filets and have a beautiful glass of wine,” said McNeil. “We need to cover a broad spectrum of passengers flying,” he said. 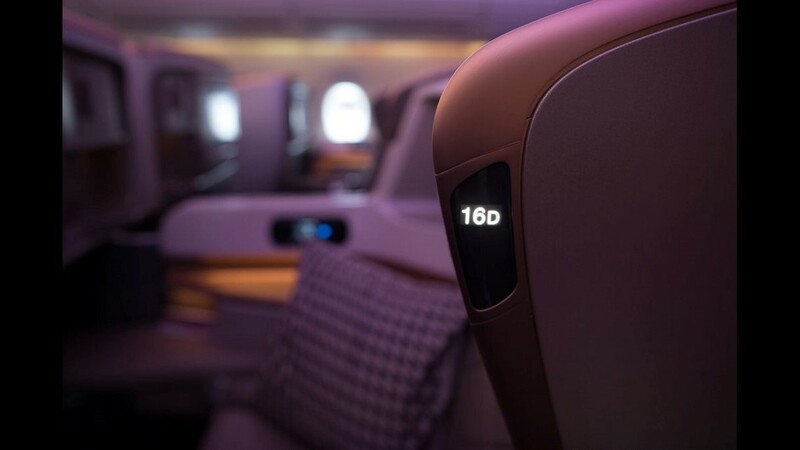 On this particular flight on this particular airplane – the new "Ultra long-range" variant of the Airbus A350 – there are only 161 passengers aboard. 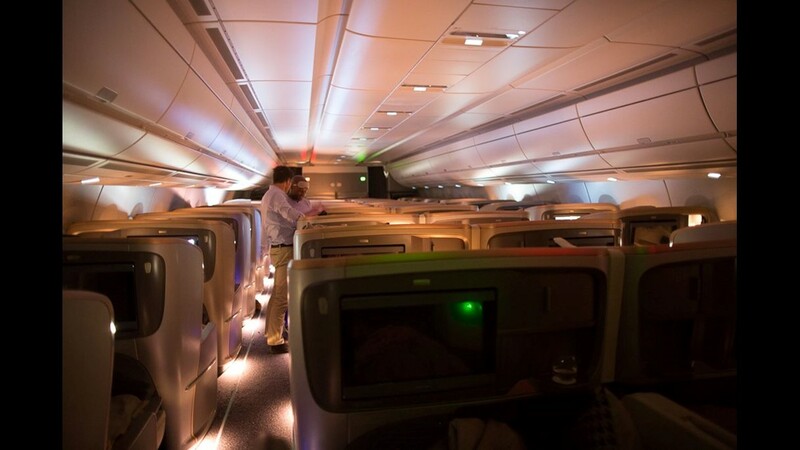 In part to save weight, the airline installed only 67 business-class seats and 94 premium economy seats. There is no economy. 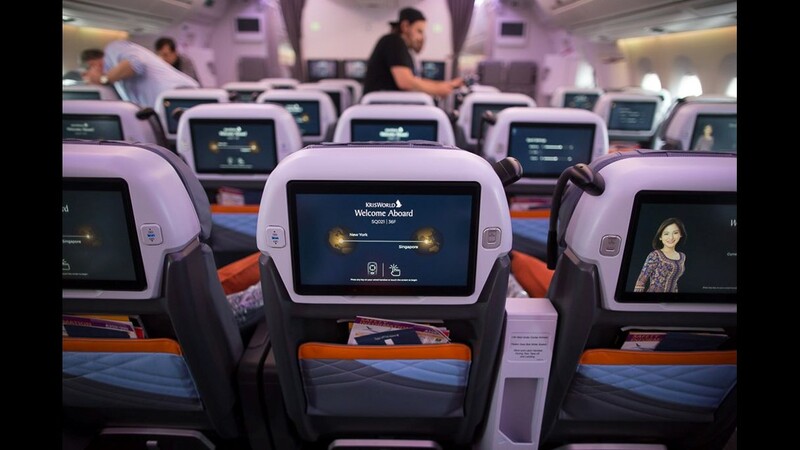 Both cabins feature large TV screens that can access 1,200 hours of content, 200 more than normal Singapore flights. 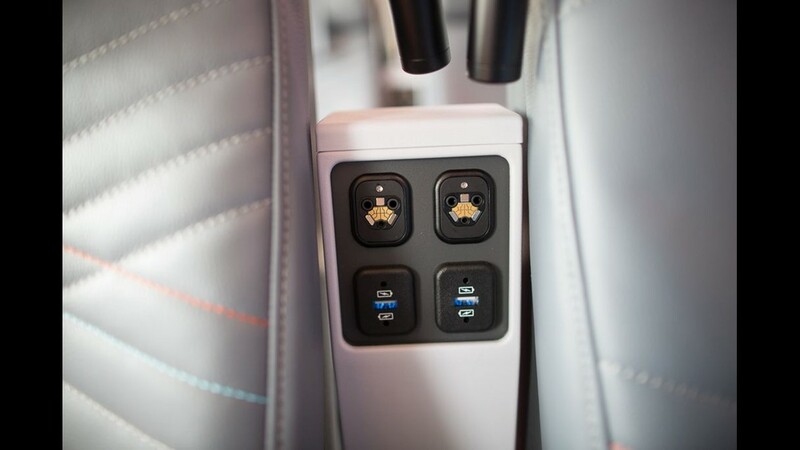 They also all have in-seat power, Wi-Fi, USB ports, storage and small amenity kits. 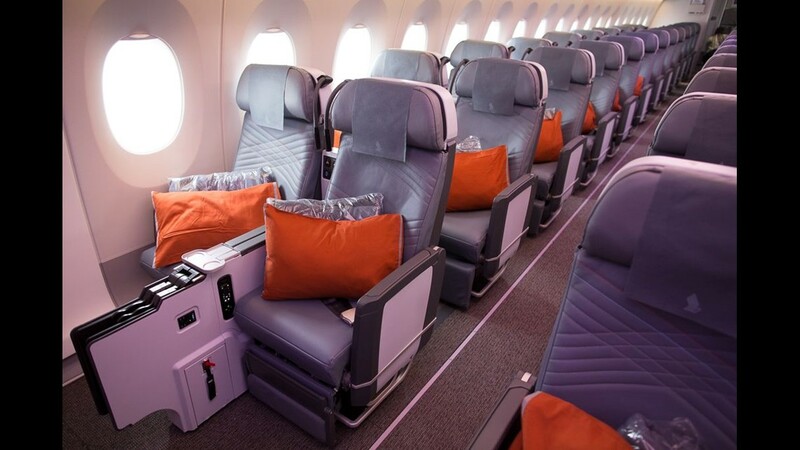 Business class, however, has the added bonus of full lie-flat seating. 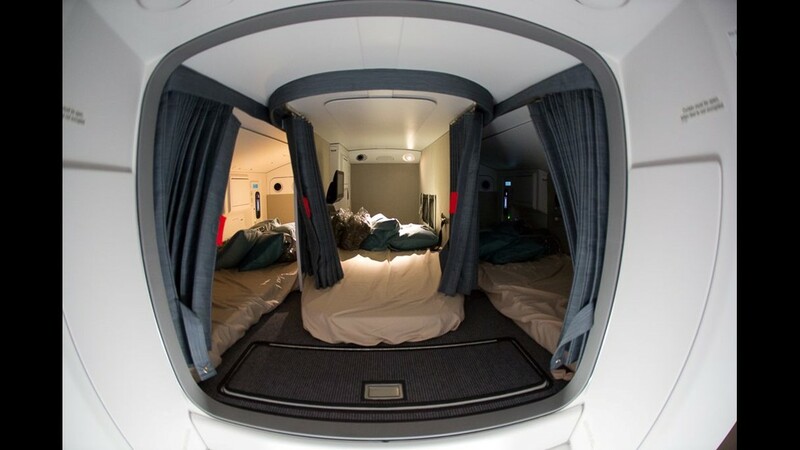 Two of the six suites in Singapore Airlines new Airbus A380 cabin designed can be combined into a 'double' thanks to a lowering center divider. 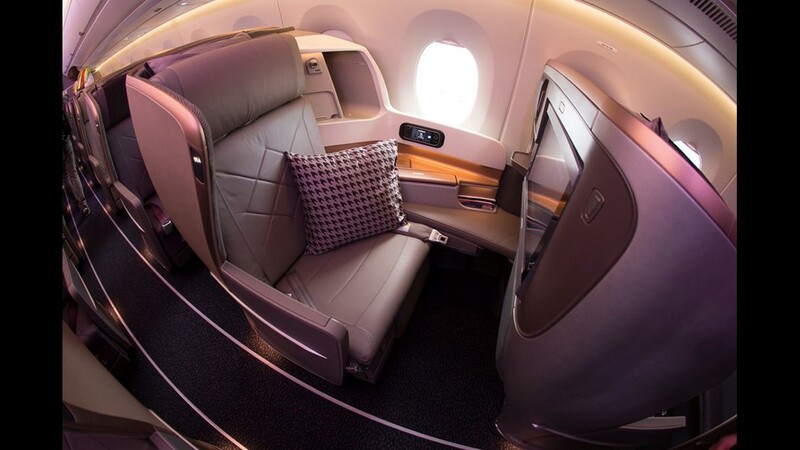 Singapore Airlines' much-anticipated new suites on for its Airbus A380s will feature a swivel chair and separate bed, which can be stowed for more space. 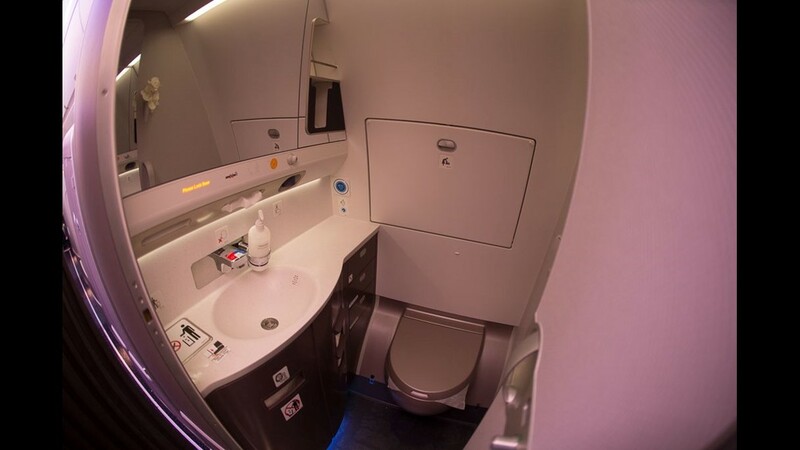 Singapore's new suites on its Airbus A380 will feature two spacious bathrooms. 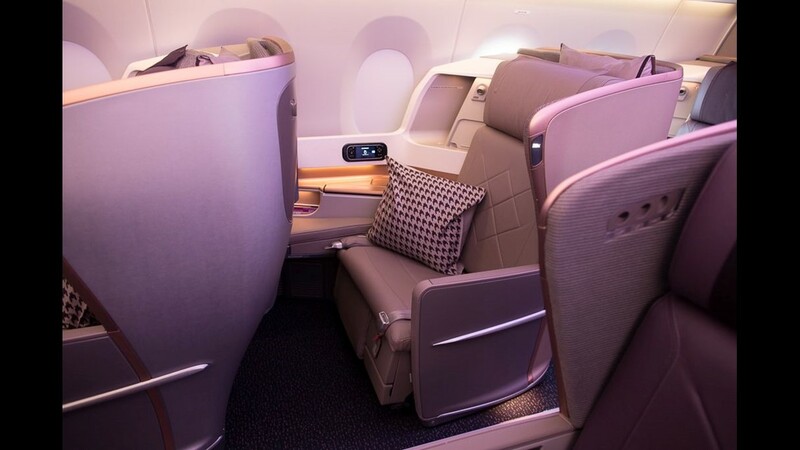 Singapore Airlines new design for its Airbus A380 suites include numerous compartments, such as these padded ones that the carrier says are good for jewelry and other valuables. Among Singapore Airlines meal offerings for Suites-class passengers: Lobster Thermidor. Among Singapore Airlines meal offerings for Suites-class passengers: Prawn and chicken laksa. Among Singapore Airlines meal offerings for Suites-class passengers: Seared nut-crushed veal fillet. 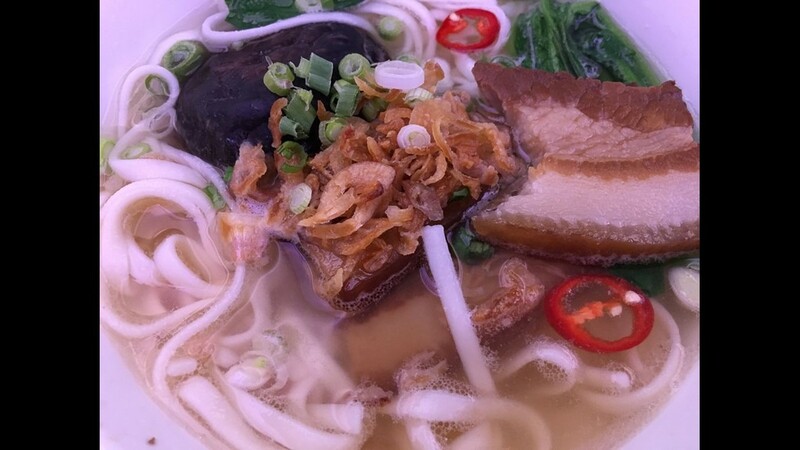 Among Singapore Airlines meal offerings for Suites-class passengers: Singapore Bak Kut Teh. 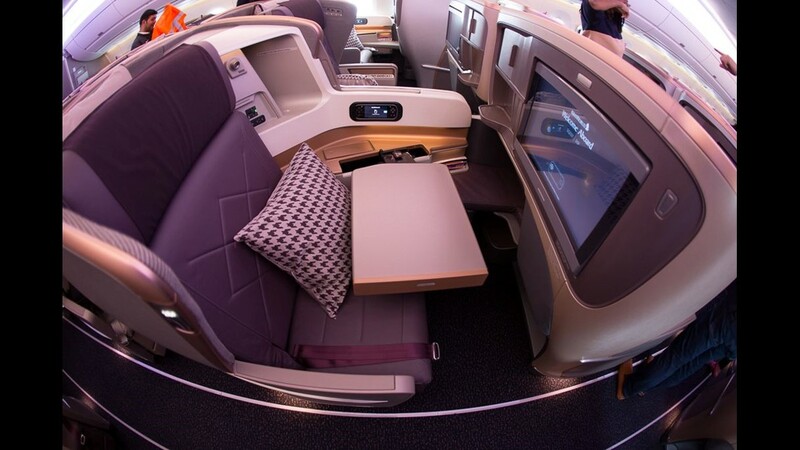 Singapore Airlines redesigned business class for its Airbus A380 superjumbo jets. 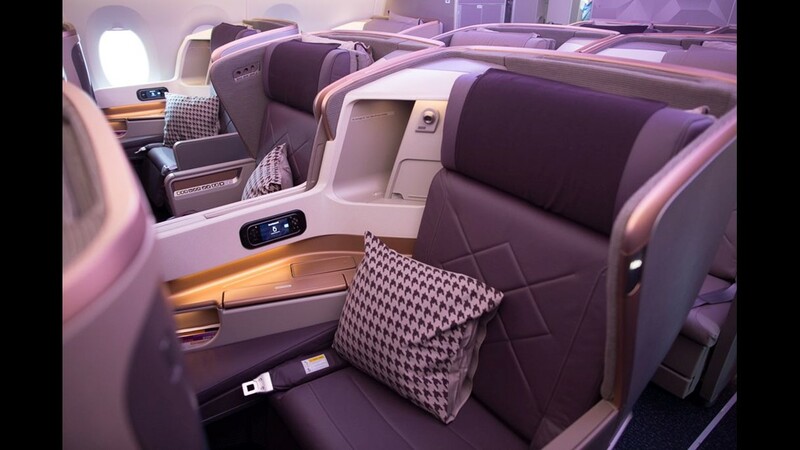 Singapore Airlines redesigned business class for its Airbus A380 superjumbo jets. A center set of suites can be combined into a double by lowering a dividing wall. 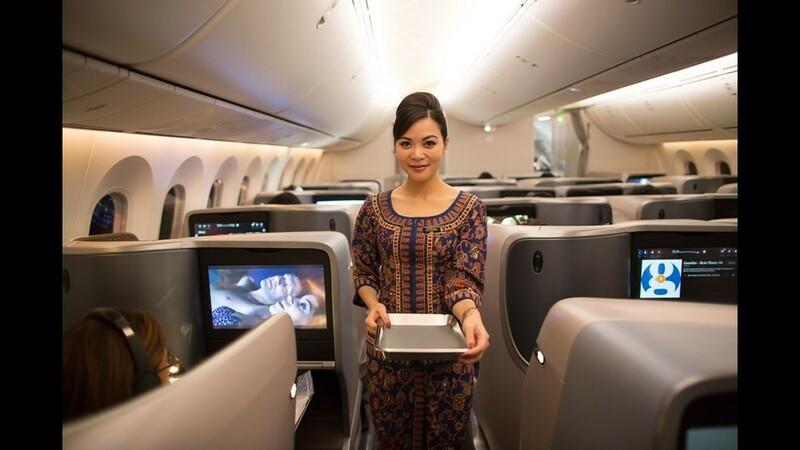 Singapore AIrlines business class meals will be served on tableware from Japanese maker Narumi. It is quite the journey for the crew, as well. Seventeen total crew members share the time, split between four pilots and 13 crew. For Friday's lead pilot, Capt. Indranil Ray Chaudhury, the Newark inaugural was almost too good to be true. 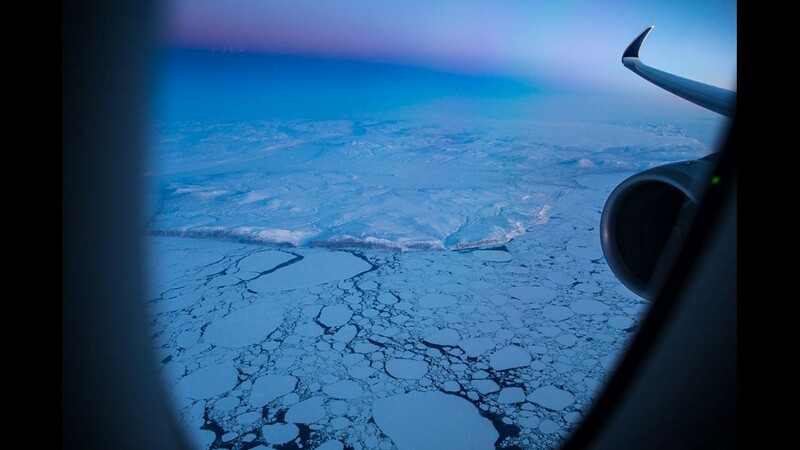 The route, which on Friday took the aircraft within miles of the North Pole, presents some unique challenges for the pilots. 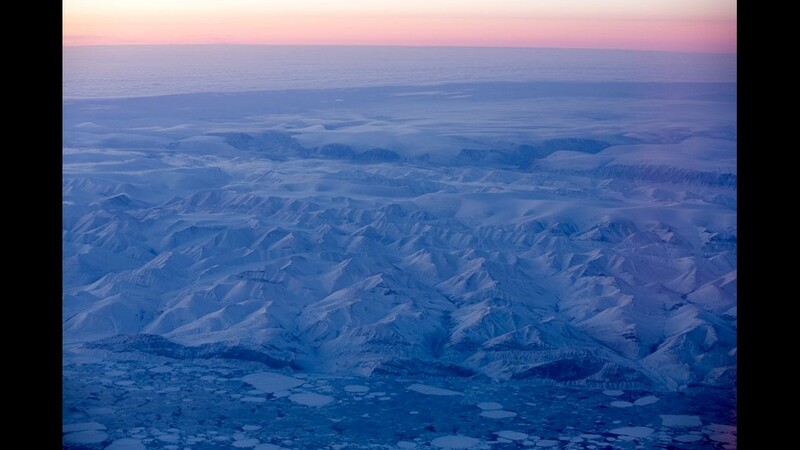 “As soon as you enter the polar route, you have to fly on true heading,” said Chaudhury. 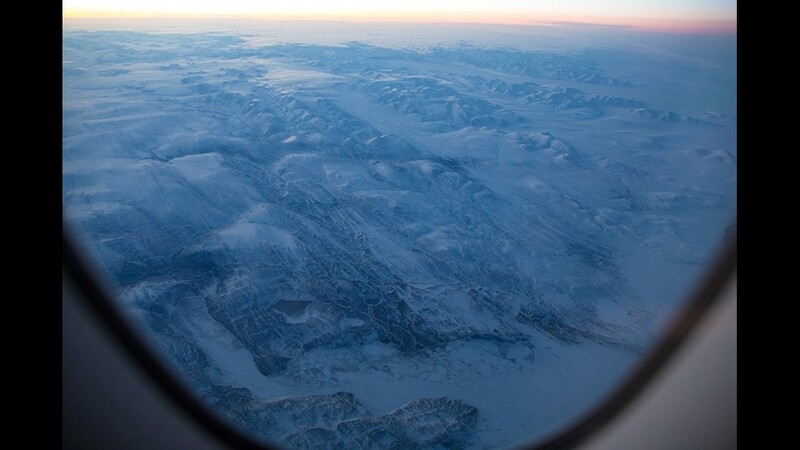 While pilots often use magnetic headings to determine location and direction, magnet-based compasses will often produce erratic, unpredictable results in the polar regions. There's also the question of where you can land the airplane in the event of an emergency. 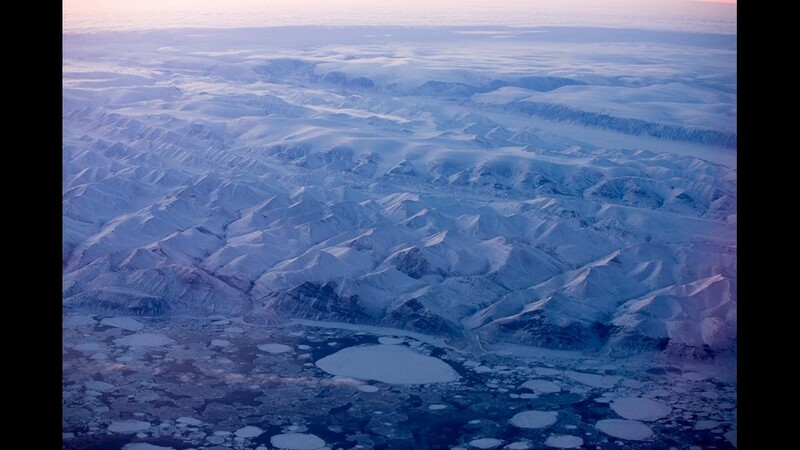 With nothing but sea ice and remote Arctic islands, there isn't much to choose from. 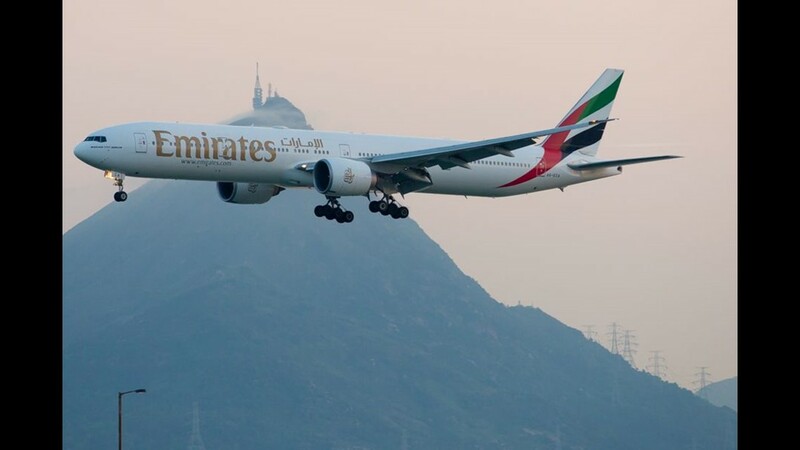 Typically, twin-engine jets are approved to divert only to airports up to 180 minutes (three hours) away. But the sheer remoteness warrants the need to extend that to airports up to 240 minutes away. “You need special approval from the regulators,” said Chaudhury. 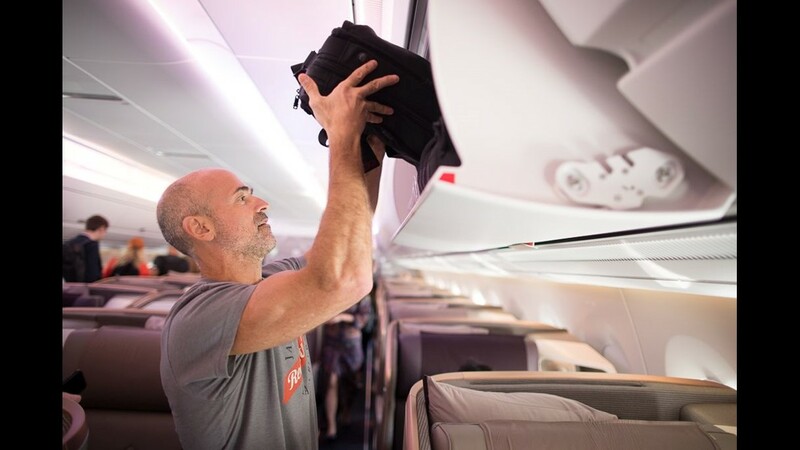 In fact, the flight often passes so far away from civilization that the airline installed a specialized closet just in case someone passes away before the crew can land. Fear not, though; the airline says it has yet to be put into use. 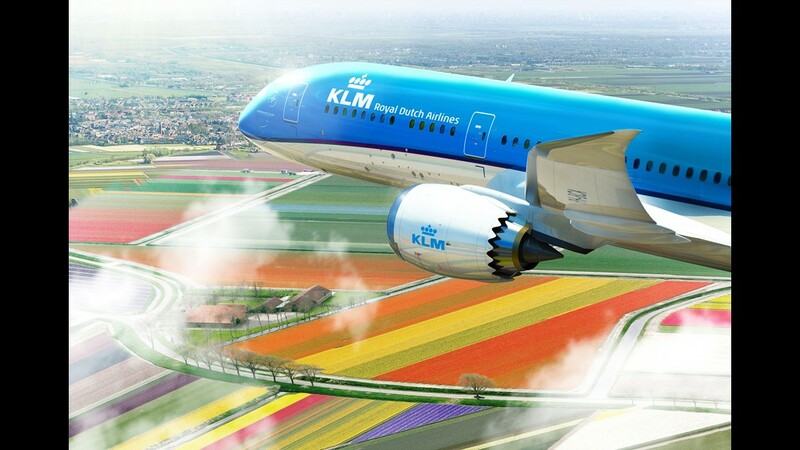 This image provided by KLM shows a Boeing 787-9 Dreamliner in the colors of the Dutch carrier. 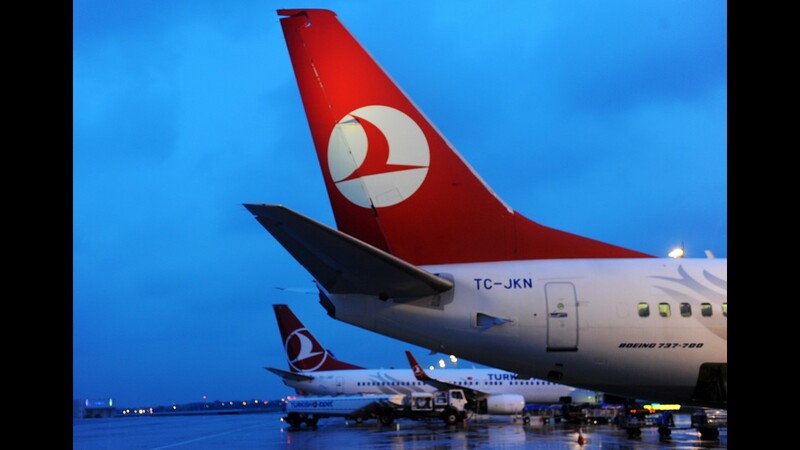 This file photo from March 16, 2013, shows a Turkish Airlines planes at the Ataturk Airport in Istanbul. 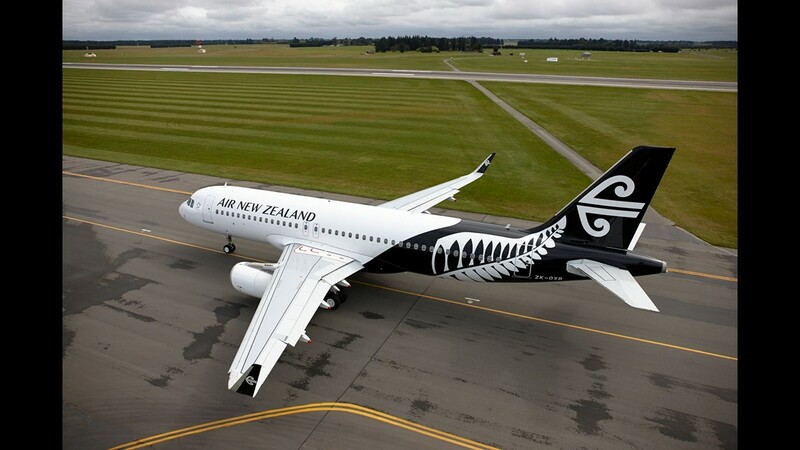 Air New Zealand has debuted a new livery. 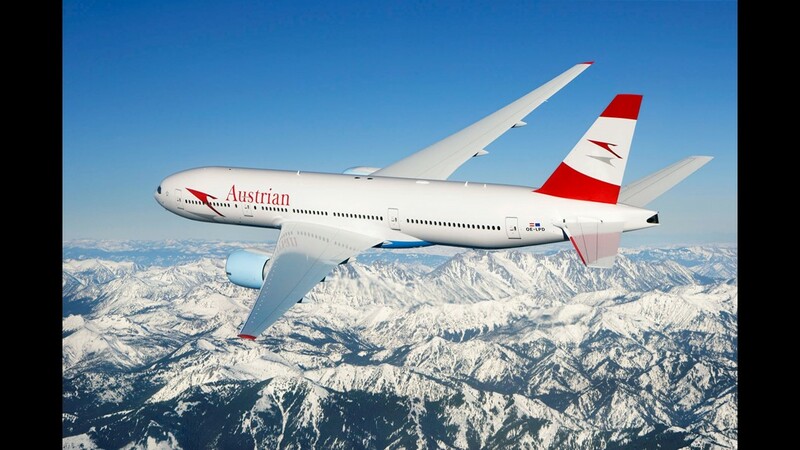 Austrian Airlines provided this image of one of its Boeing 777-200 aircraft. 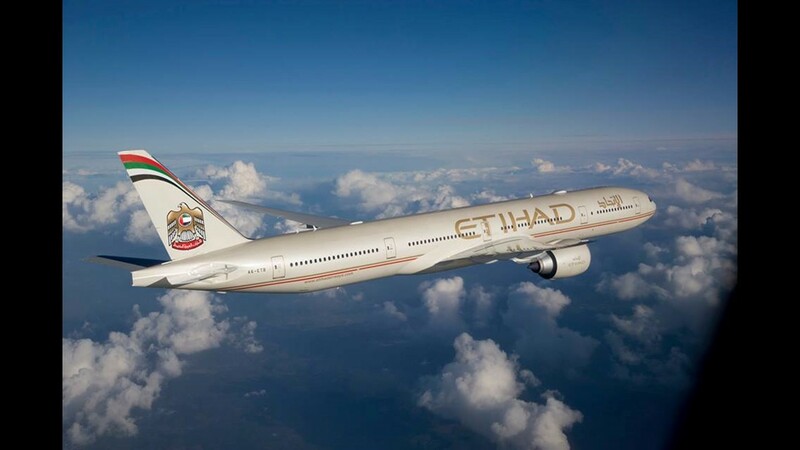 An Etihad Airways' Boeing 777. 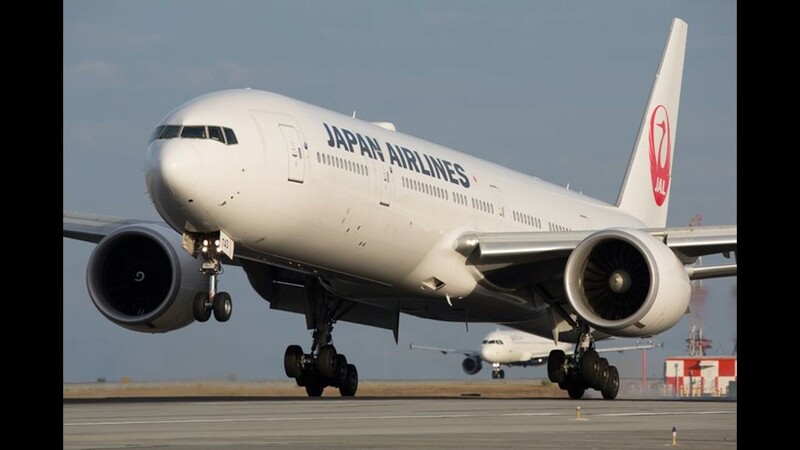 A Japan Airlines Boeing 777 lands from Tokyo at San Francisco International Airport on October 23, 2016. 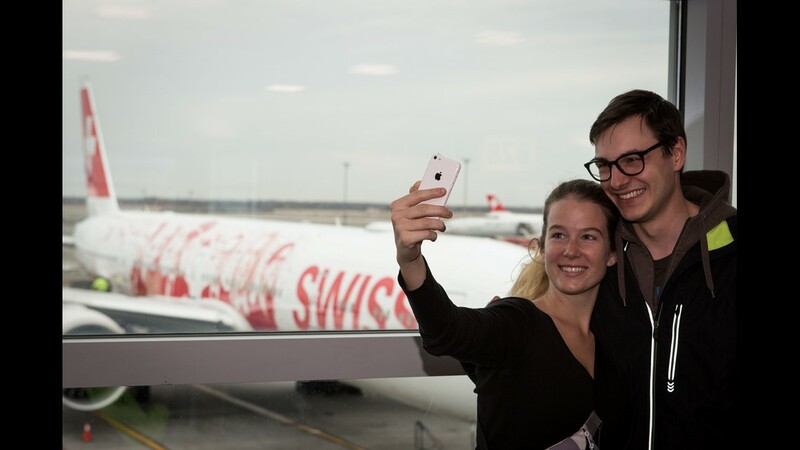 Onlookers photograph the arrival of the first of Swiss Airlines’ new Boeing 777-300ERs to arrive in New York on Feb. 21, 2016. 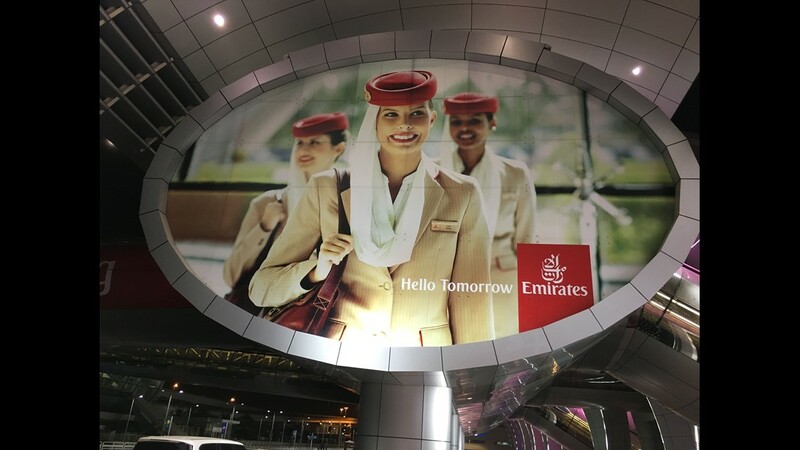 Skytrax, a U.K.-based travel consultancy that runs what it calls the "world's largest review site," determines the winners of its annual World Airline Awards from reviews by more than 18 million passengers that represent more than 100 countries. At No. 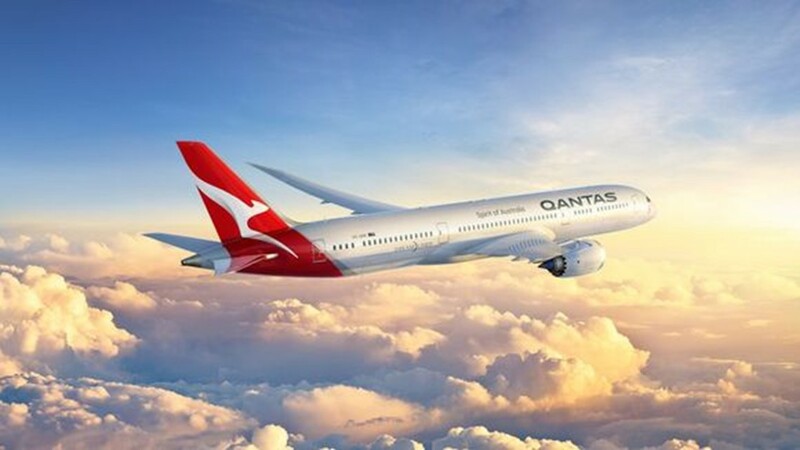 15 for 2017: Qantas Airways. 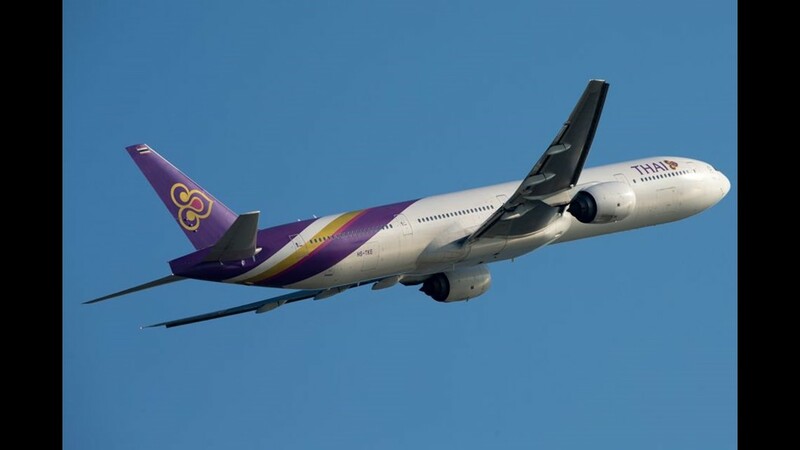 A Thai Airways Boeing 777-300 takes off from Hong Kong in August, 2017. 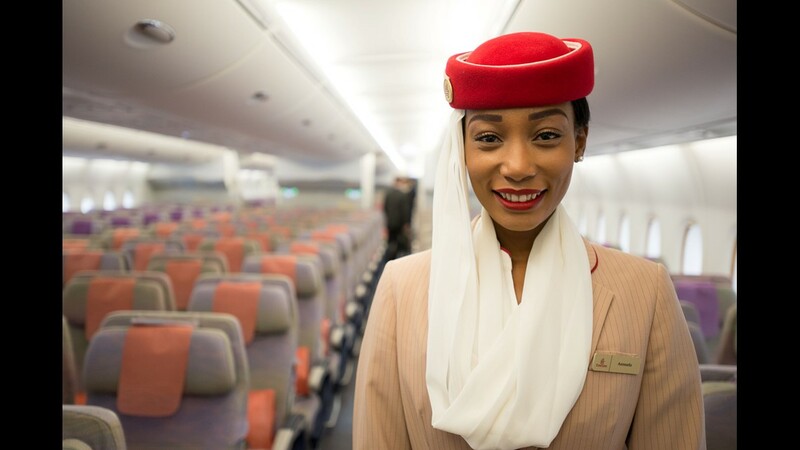 Skytrax, a U.K.-based travel consultancy that runs what it calls the "world's largest review site," determines the winners of its annual World Airline Awards from reviews by more than 18 million passengers that represent more than 100 countries. At No. 10 for 2017: Garuda Indonesia. 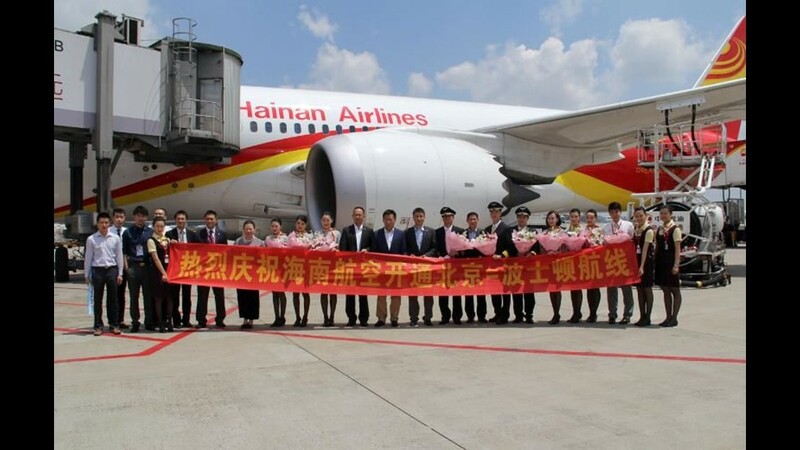 Hainan Airlines staff holds a banner commemorating the carrier's launch of service between Beijing and Boston. 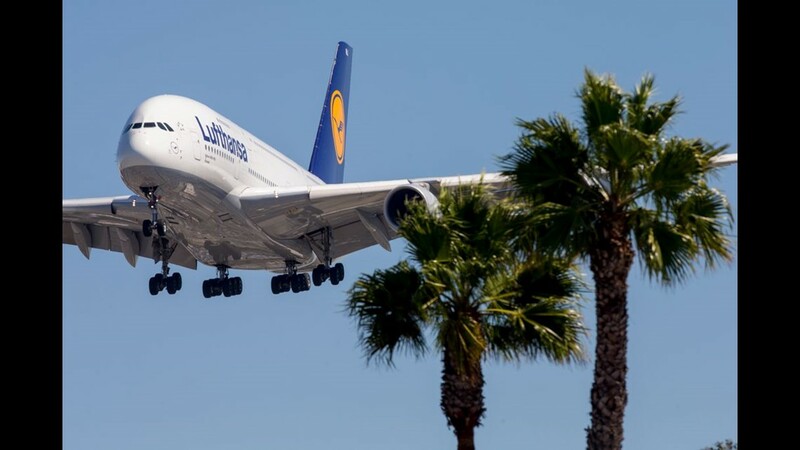 A Lufthansa Airbus A380 lands at Los Angeles International Airport on September 24, 2017. 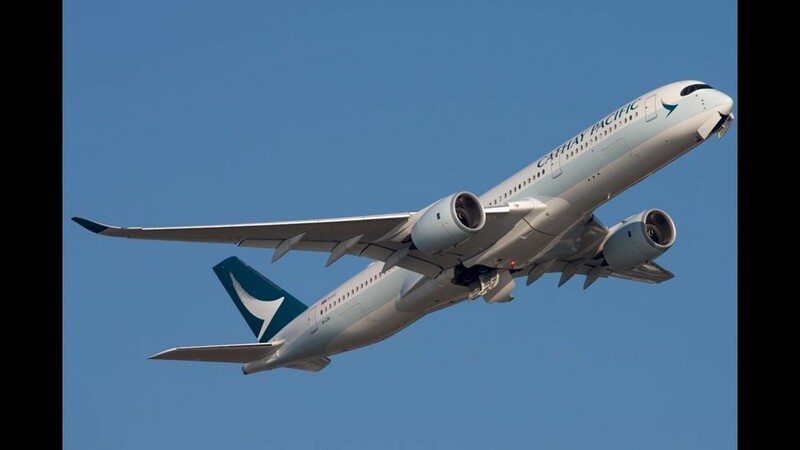 A Cathay Pacific Airbus A350-900 takes off from Hong Kong in August, 2017. 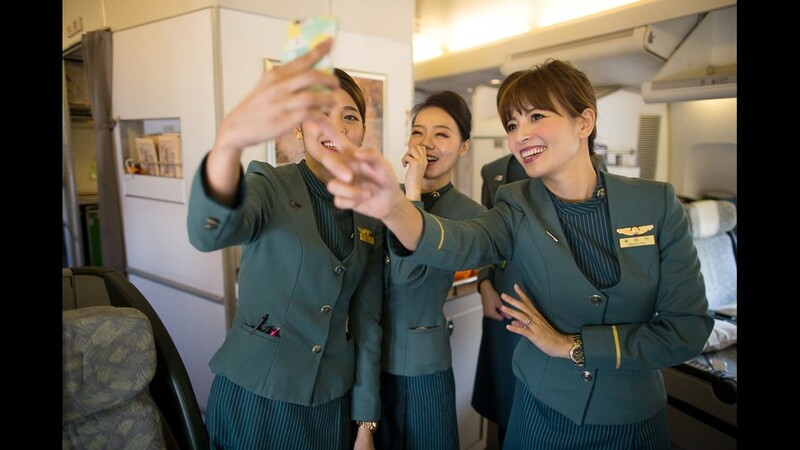 Flight attendants serving on EVA Air's last passenger Boeing 747 jet take photos of one another before departing Hong Kong for Taipei, Taiwan on August 21, 2017. 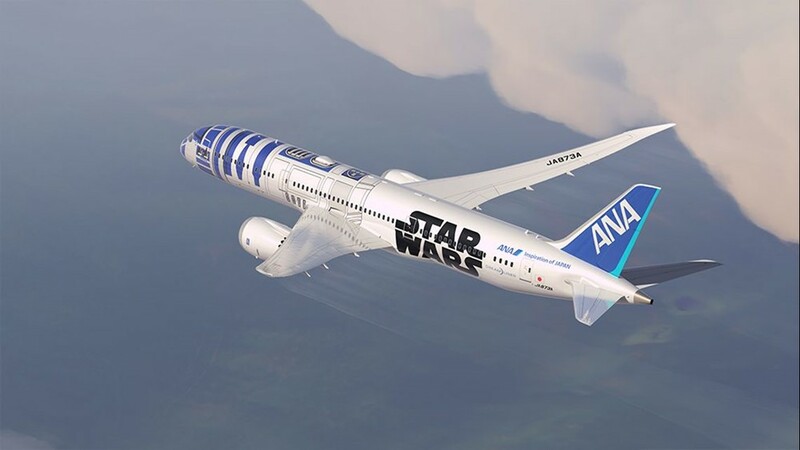 A rendering of All Nippon Airways' planned 'Star Wars'-themed Boeing 787 Dreamliner. 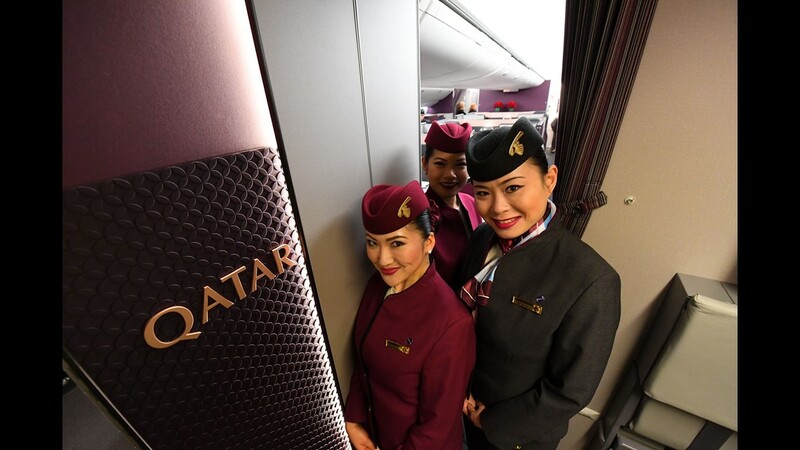 Qatar Airways' economy class cabin, seen aboard the world's first Airbus A350-1000 at a delivery ceremony in Toulouse, France, on Feb. 20, 2018. It is not the first time the two cities have been connected. Singapore flew the route starting in 2004, making it the undisputed long-haul king. 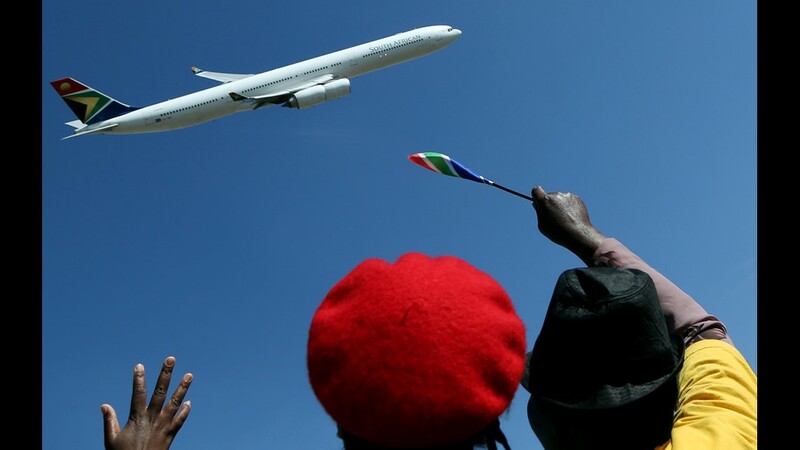 The flights were operated with the Airbus A340-500, then one of the only airplanes capable of flying such a distance. 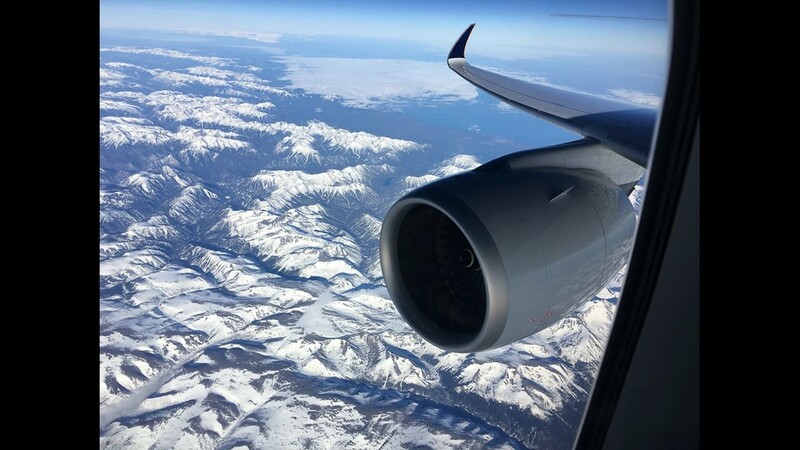 While regulars of the route loved it, the jet's four gas-guzzling engines and very limited passenger load of only about 100 made it financially unsustainable. Singapore canceled the route in November 2013. 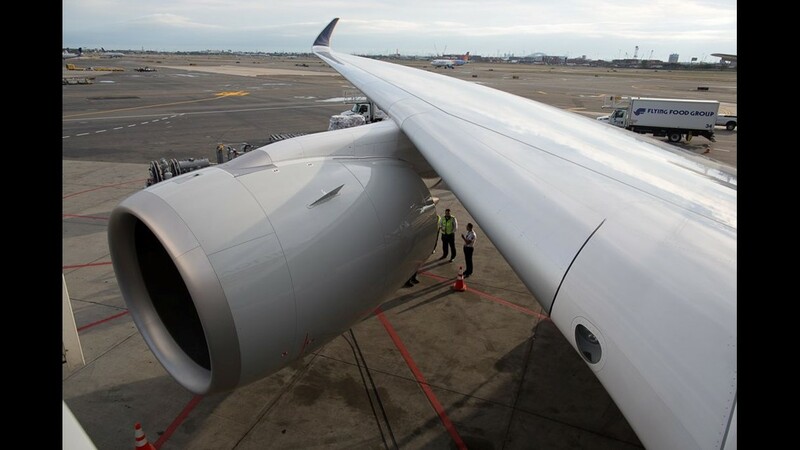 But the introduction of Airbus' new two-engine A350-900 "ULR" made the resumption of the route possible. 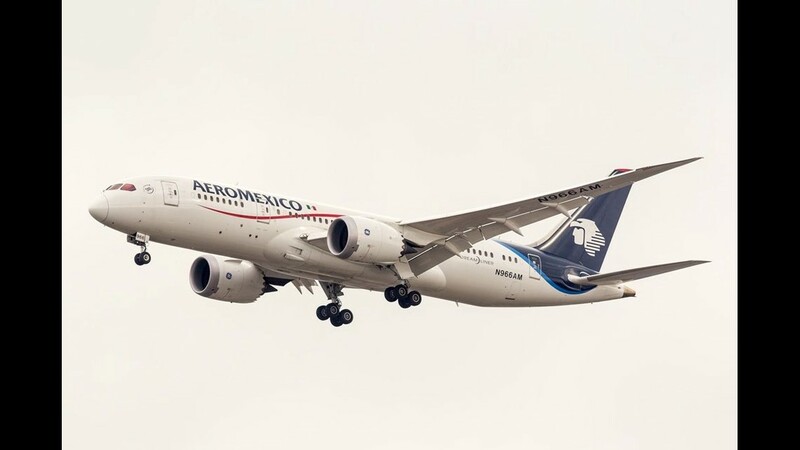 The jet is technically a derivative, or sub-species, if you will, of Airbus’ already popular A350 line of aircraft. 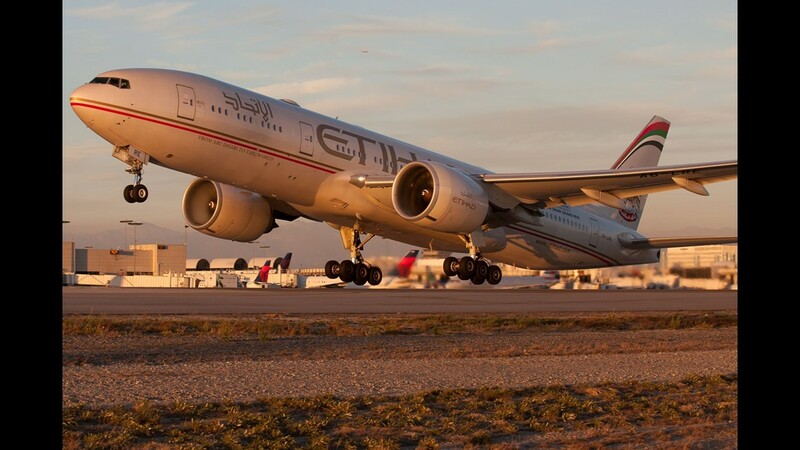 The wide-body jet was first delivered in 2014, designed with long-haul flying in mind. 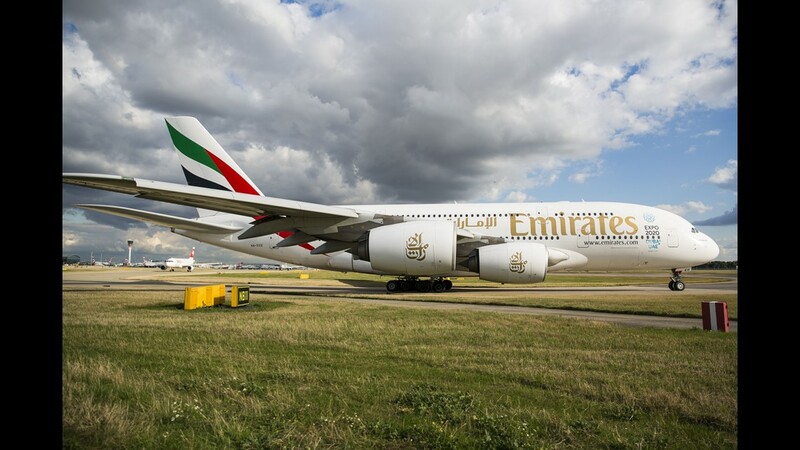 Currently offered in two major models, the -900 and the -1000, the jets carry between 250 and 350 passengers, depending on how each airline chooses to configure them. 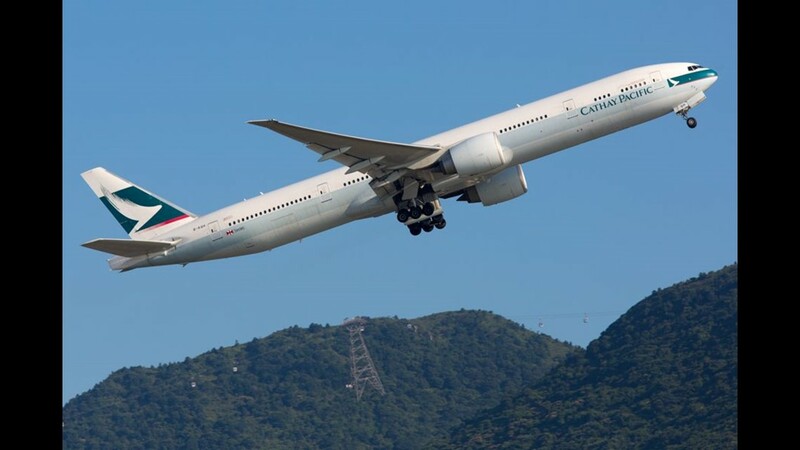 The ULR variant is based off the A350-900. Both are made of lightweight composite materials and use the latest in engine technology. 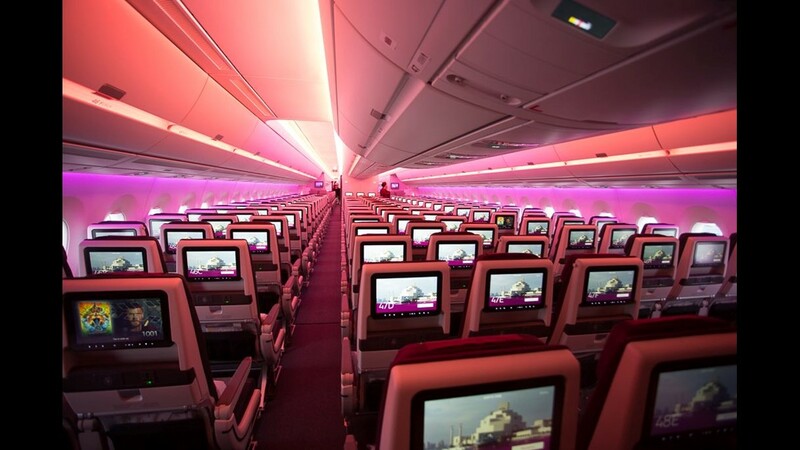 Airbus says passengers will notice the aircraft’s wide cabins, high ceilings and extra-large windows. 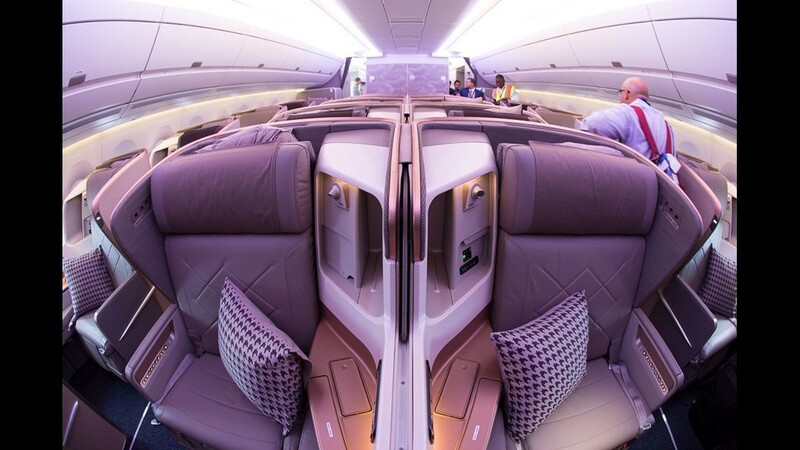 “You’ll notice the quieter cabin as soon as you take off,” Airbus spokesperson Sean Lee said during a pre-flight interview. Lee says the cabin is five decibels quieter on average, compared to competing aircraft. “This makes it easier to relax or sleep without the need for noice-canceling headphones or ear-plugs,” said Lee. 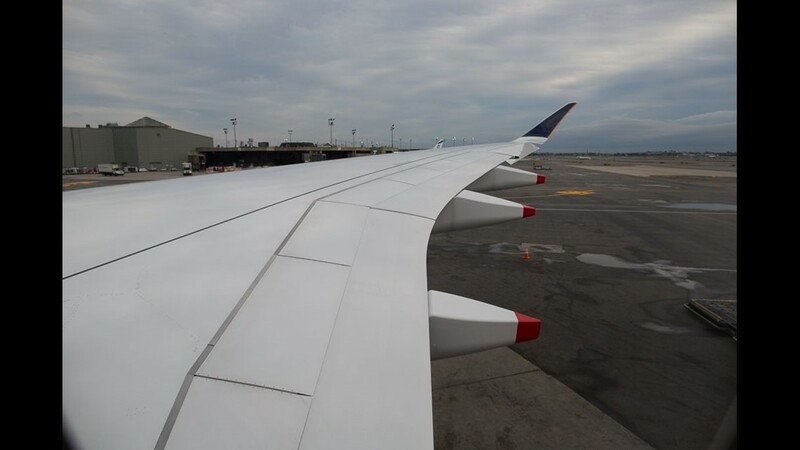 In addition, the jet’s carbon-fiber composite build enables airlines to set the cabin altitude to the equivalent of 6,000 feet – more comfortable to humans than the equivalent of 8,000 feet found on most airplanes. 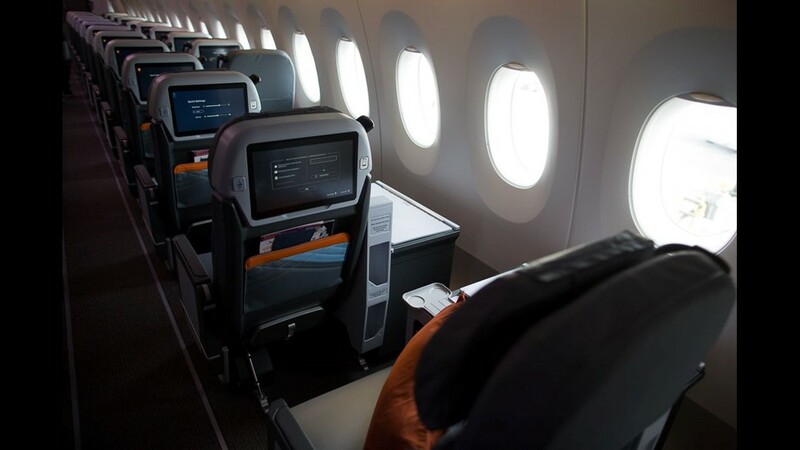 The result means more humidity inside the cabin, leaving flyers feeling less dry and worn out during – and after – a long flight. There also are the changes that the passengers won’t notice. Airbus says the jet carries an extra 6,300 gallons of fuel over its standard A350 jet, good for an impressive total of about 43,500 gallons. Other changes, including extending the jet’s wingtips, help eke out every last ounce of performance. 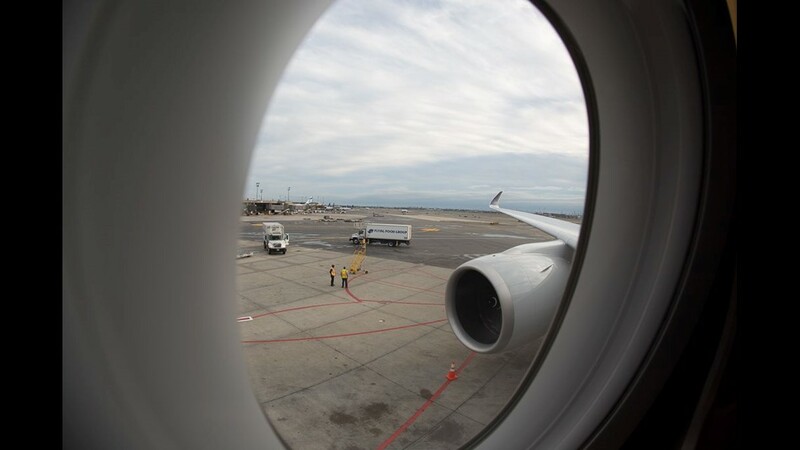 The changes result in a jet that is capable of flying up to 11,100 statute miles and staying aloft for more than 20 hours, making the resumed Singapore-Newark flight possible for the plane. At present, Singapore is the only airline to have ordered the ULR variant of the A350, with seven on order. 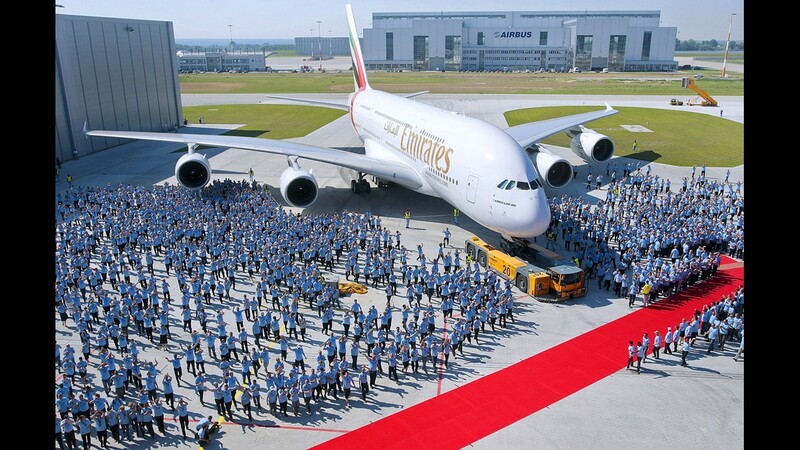 But Airbus' Lee says several other airlines are considering the aircraft. 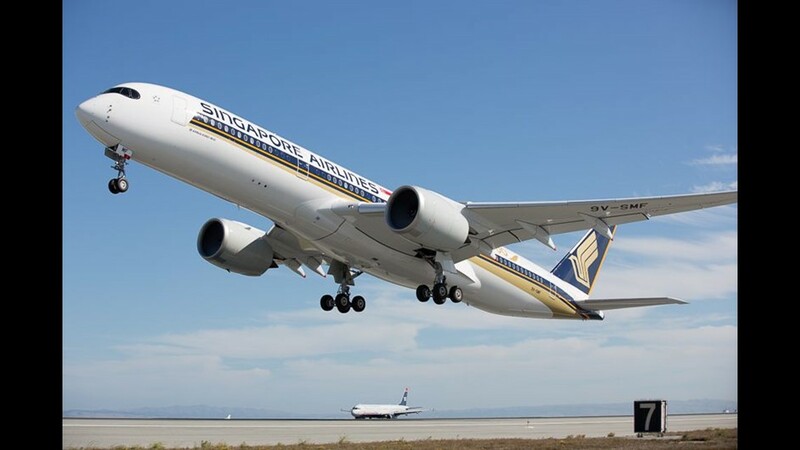 As more of the specialized airplanes enter Singapore's fleet, the airline will use the jet to relaunch another U.S. route – Singapore-Los Angeles – in November. That flight will be a comparatively short 8,770 miles. 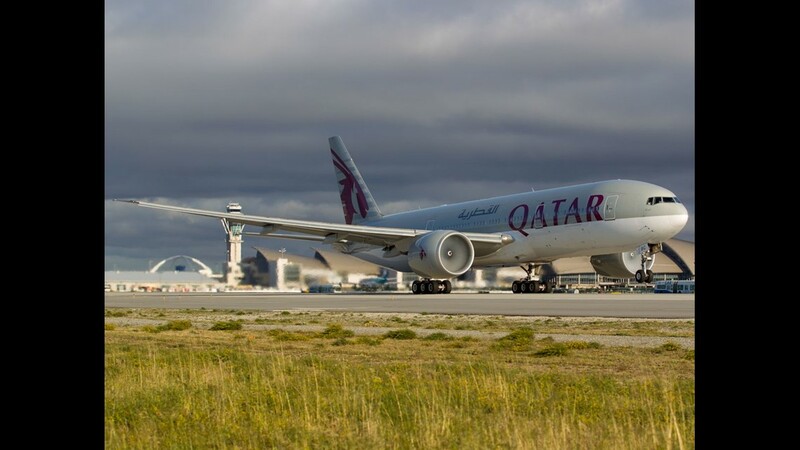 Both routes are the latest salvos in what has become the era of the ultra-long-haul flight. 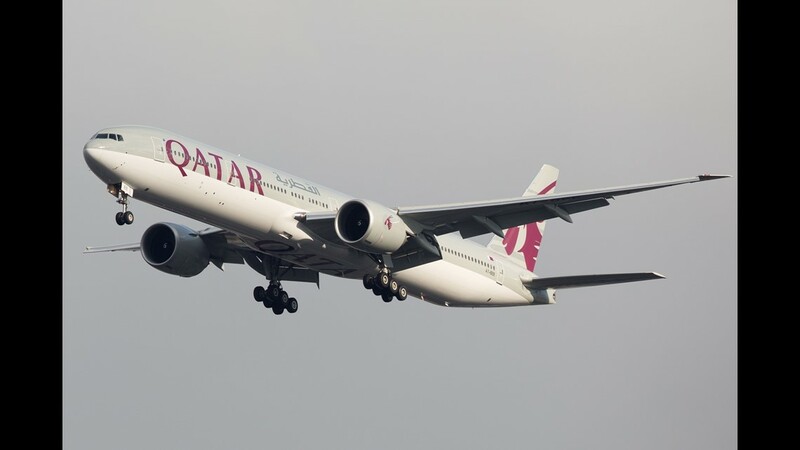 Qatar Airways last year launched what has now fallen to the second-longest flight on earth, a 9,032-mile connection between Doha, Qatar, and Auckland, New Zealand. 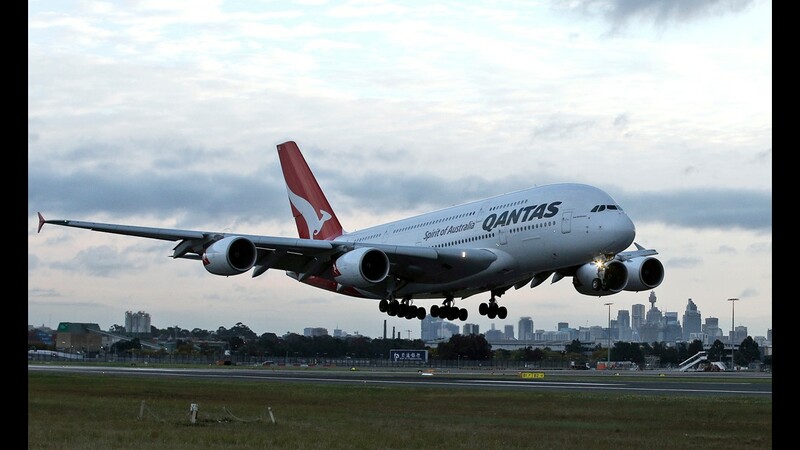 Qantas claims third place with its new, 9,010-mile journey between Perth, in western Australia, and London. 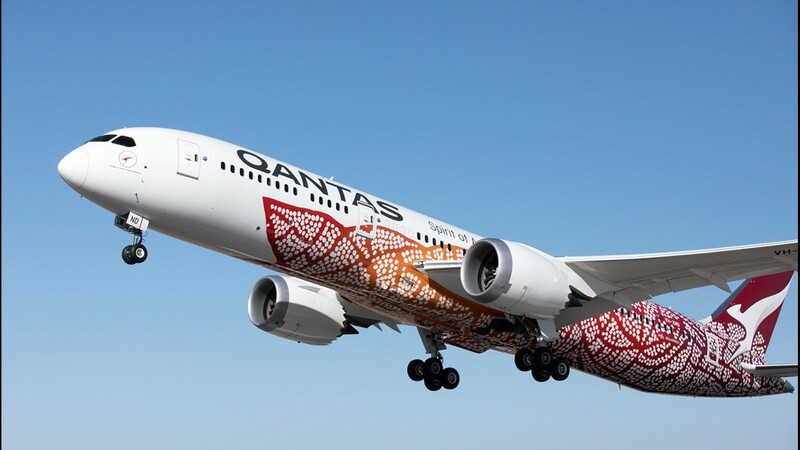 That service began earlier this year, the first-ever regularly scheduled airline flight to operate nonstop between Australia and Europe. 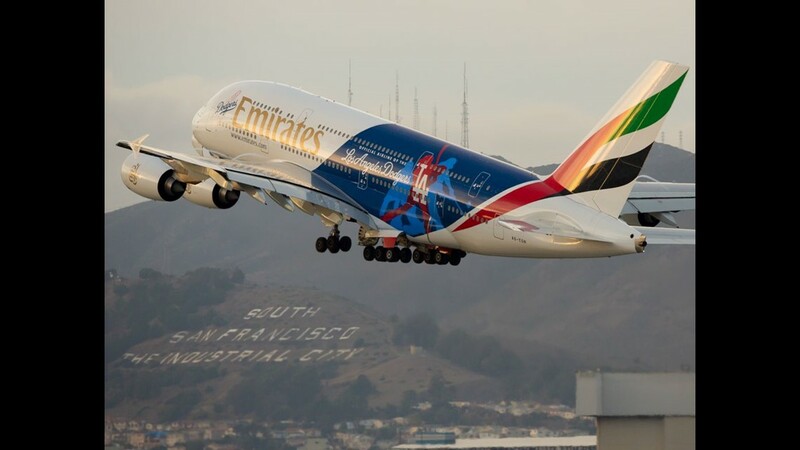 As long flights have proliferated, routes now don't even break the top 10 without flying about 8,400 miles – roughly 16 hours of flight time. For all the hoopla of the Newark-Singapore relaunch, however, none of today's top-10 longest routes have yet to hold a candle to the longest scheduled nonstop flights in history, at least when measured by time. 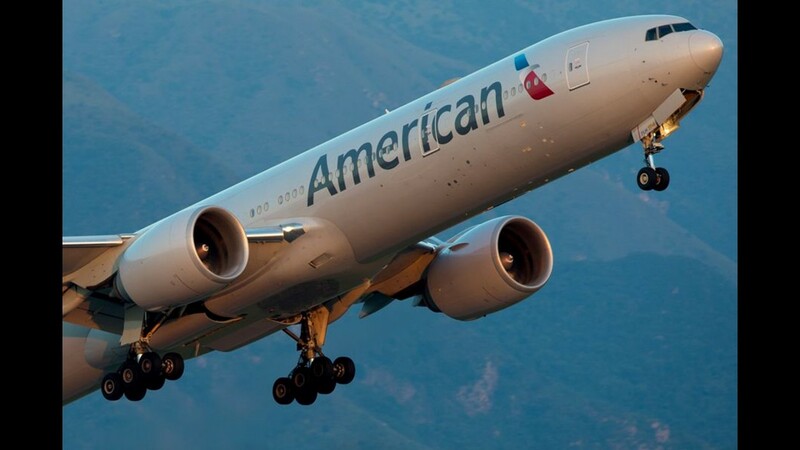 That record was set 61 years ago in 1957, says John Hill, assistant director of the SFO Museum in San Francisco. “Pan American Airways started nonstop West Coast–Europe service with the Douglas DC-7C in 1957,” he said, a distance that was otherwise unheard of at the time. TWA followed not long after with the Lockheed L-1649 Starliner, flying nonstop between San Francisco and London. The flight time remains the undisputed record, often exceeding 23 hours, said Hill. While elaborate meals and ample space were common in that era of air service, it wasn't always a pleasant ride. Unable to fly as high as today's jetliners, long-range aircraft of the day often had to fly through rough weather – instead of over it – making for a bumpy ride. Add in four large piston engines, and those planes also were much noisier. But even then, there was an option to upgrade. 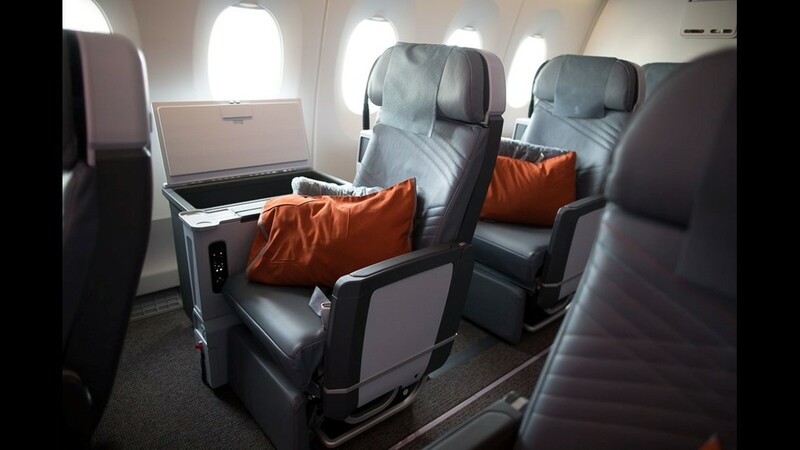 The cost to upgrade to a fully reclining sleeper seat? A whopping $50 – or about $437 when adjusted for inflation – on the Pan American flights, according to Hill. Two A350s make their way through Airbus' A350 final assembly line near Toulouse, France, on Oct. 13, 2016. A China Airlines A350 is worked on at Airbus' A350 final assembly line near Toulouse, France, on Oct. 13, 2016. Visitors to Airbus' A350 final assembly line near Toulouse, France, are treated to this large A350 replica. Part of a tail section awaits assembly in this floor shot from Airbus' A350 final assembly line near Toulouse, France, on Oct. 13, 2016. A floor shot of Airbus' A350 final assembly line near Toulouse, France, on Oct. 13, 2016. Airbus' A350 final assembly line near Toulouse, France, is not open to the public. But visitors lucky enough to gain access -- a media tour, in this case -- can read about the assembly line process on these signs. Signage at Airbus' A350 final assembly line near tells visitors some of what they're seeing at the facility near Toulouse, France. An A350 makes its way through Airbus' A350 final assembly line near Toulouse, France, on Oct. 13, 2016. A close-up shot of work being performed on an A350 at Airbus' A350 final assembly line near Toulouse, France, on Oct. 13, 2016. An A350 fuselage is worked on at Airbus' A350 final assembly line near Toulouse, France, on Oct. 13, 2016. An arrow points the way for visitors at Airbus' A350 final assembly line near Toulouse, France, on Oct. 13, 2016. Signage at Airbus' A350 facility near Toulouse, France, shows visitors where parts of the plane are made before coming here for final assembly. The tail of an China Airlines A350 is seen at Airbus' A350 final assembly line near Toulouse, France, on Oct. 13, 2016. A wing stands ready to be added to the next fuselage to come through at Airbus' A350 final assembly line near Toulouse, France, on Oct. 13, 2016. In the near-ground, two A350-900s make their way through Airbus' A350 final assembly line near Toulouse, France, on Oct. 13, 2016. 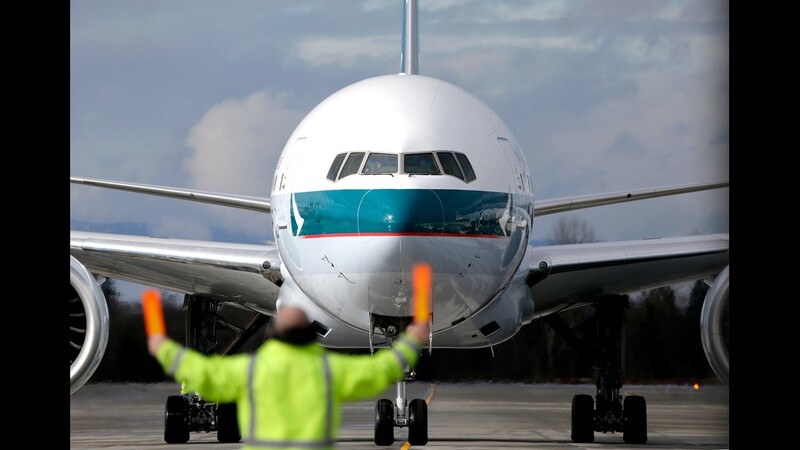 In the far background, an A350-1000 is seen. A wing section awaits assembly at this station on Airbus' A350 final assembly line near Toulouse, France, on Oct. 13, 2016. An A350 is worked on at Airbus' A350 final assembly line near Toulouse, France, on Oct. 13, 2016. A fuselage is worked on at Airbus' A350 final assembly line near Toulouse, France, on Oct. 13, 2016. Airbus hopes to ramp up A350 production to 10 per month by the end of 2018. Seen here is Airbus' A350 final assembly line near Toulouse, France, on Oct. 13, 2016. A China Airlines A350 is seen at Airbus' A350 final assembly line near Toulouse, France, on Oct. 13, 2016. The tail of an Thai Airways A350 pokes above a viewing platform at Airbus' A350 final assembly line near Toulouse, France, on Oct. 13, 2016. One of the main pedestrian corridors is seen at Airbus' A350 final assembly line near Toulouse, France, on Oct. 13, 2016. This isn't part of the final assembly line for the A350, but this "Mock Up Center" is an important destination for airline customers buying the A350 and other Airbus planes. 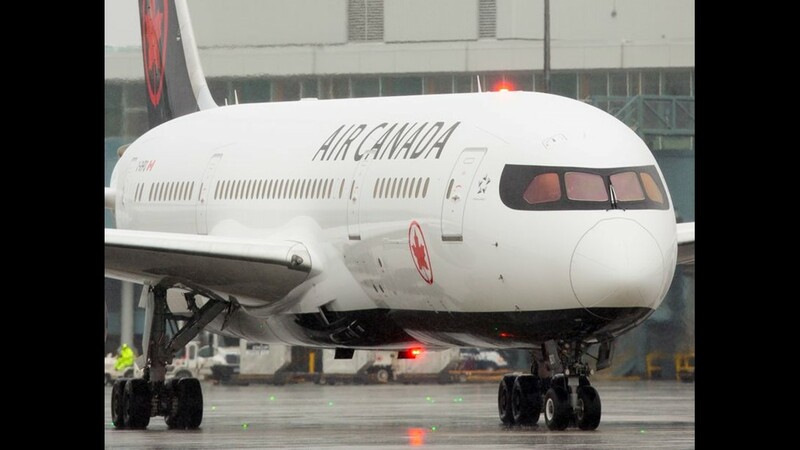 At the Mock Up Centre, airline executives can walk-through life-size models of aircraft as they decide design features like seating configuration and cabin layout. Here, the outside of the A350 mock-up model is seen at the Mock Up Centre. Photos are not allowed inside the model. More life-size aircraft cabin models at Airbus' Mock Up Centre near Tourlouse, France. Looking out from the Mock Up Centre, more of Airbus' headquarters campus is seen here on Oct. 13, 2016, near Toulouse , France. Perhaps unsurprisingly, an airline motif is used for some walkways within Airbus' headquarters near Toulouse, France.